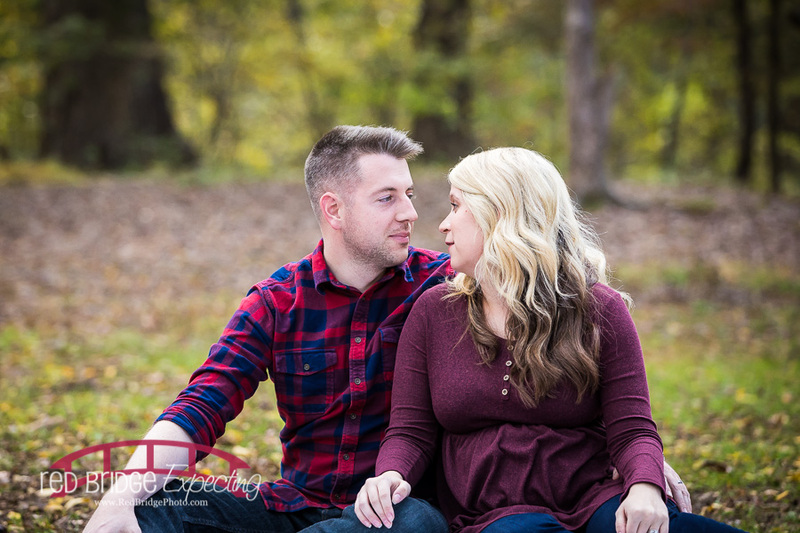 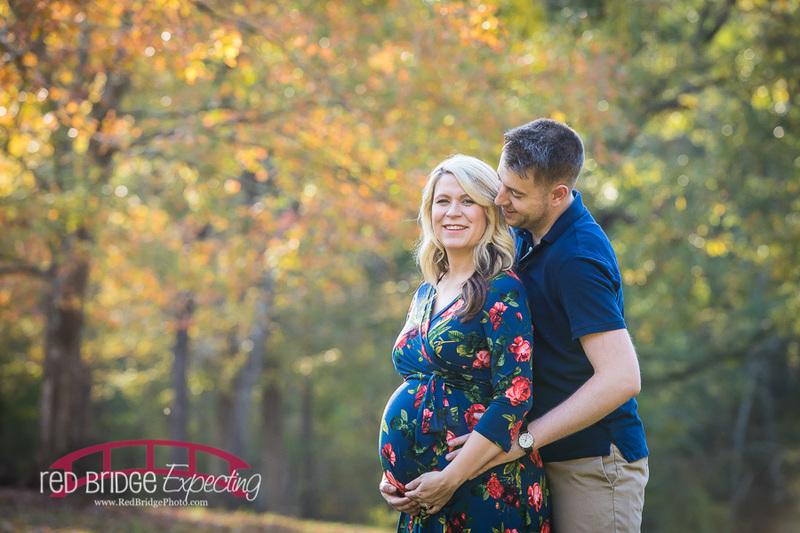 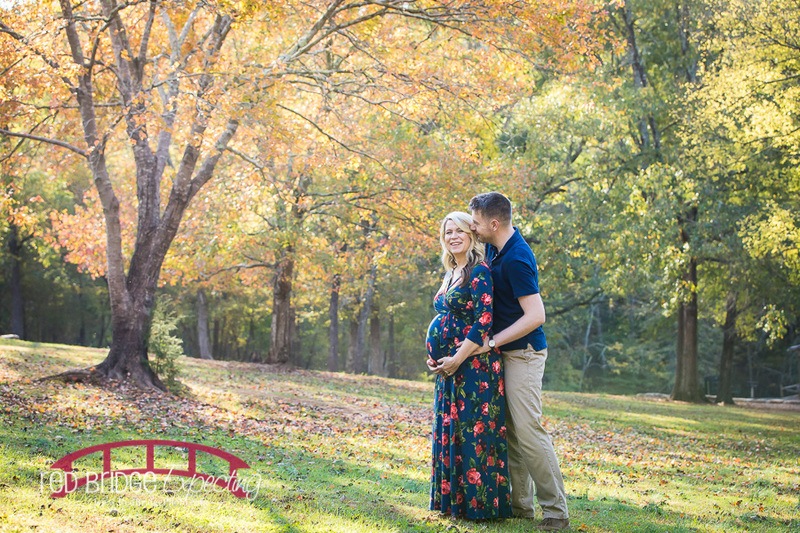 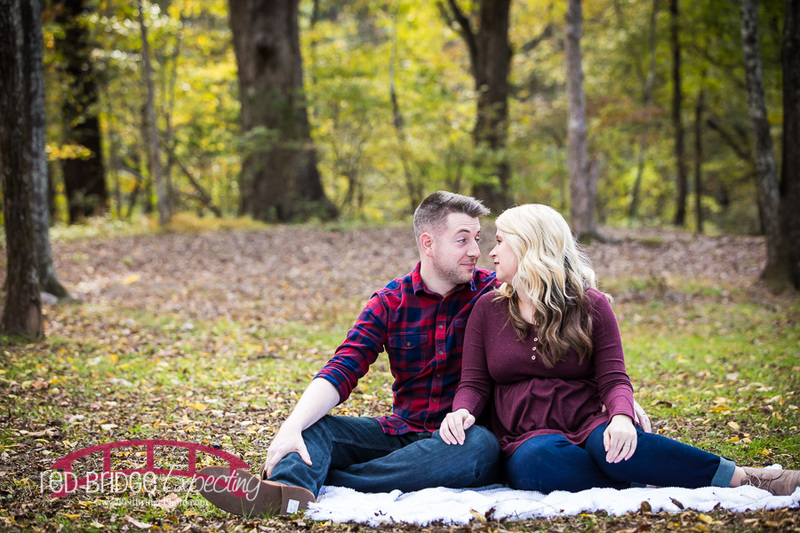 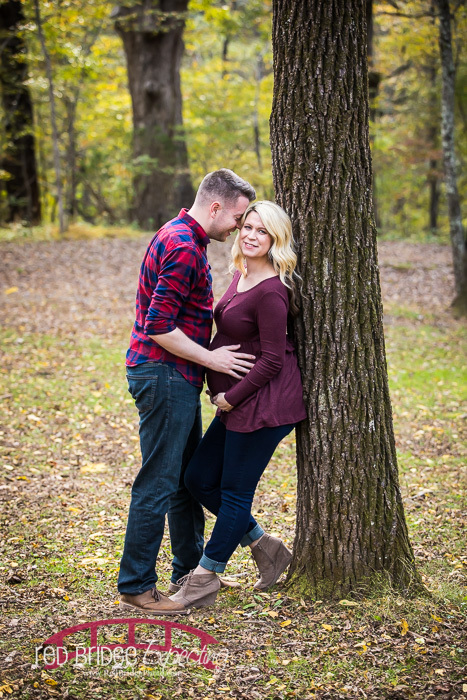 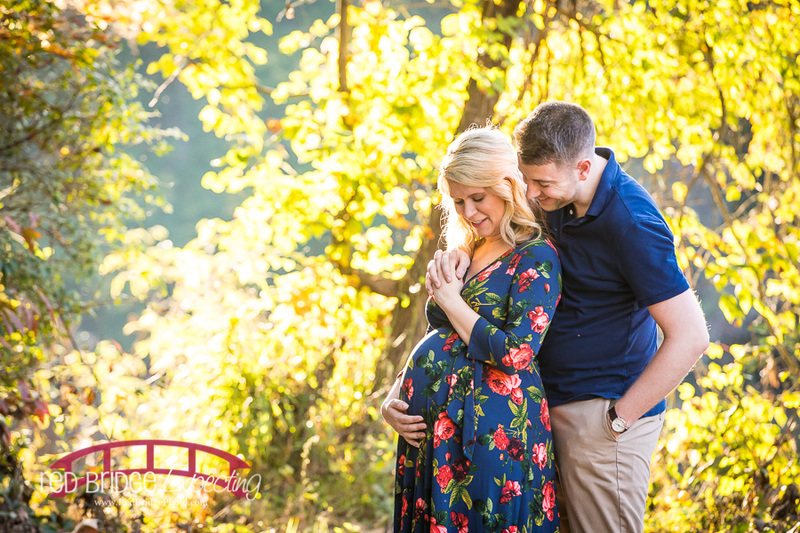 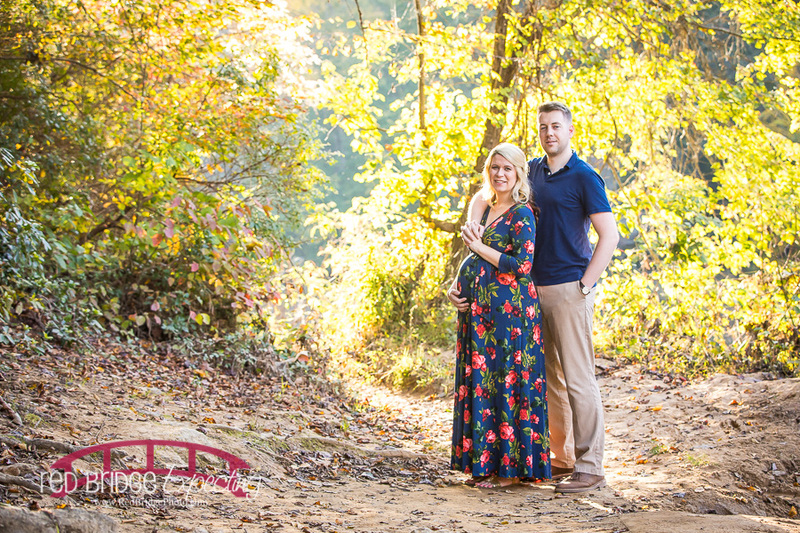 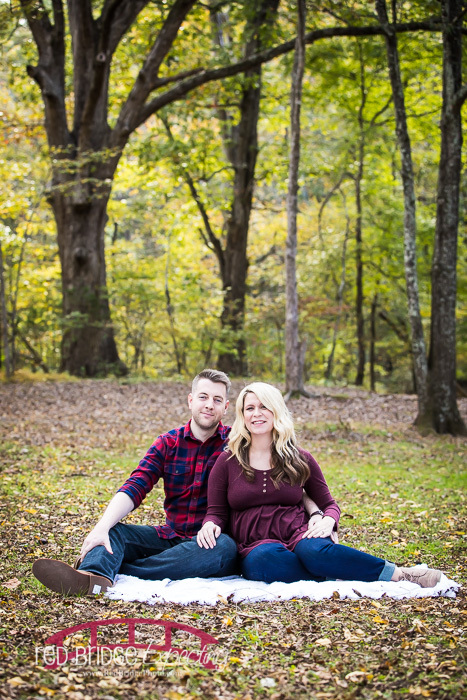 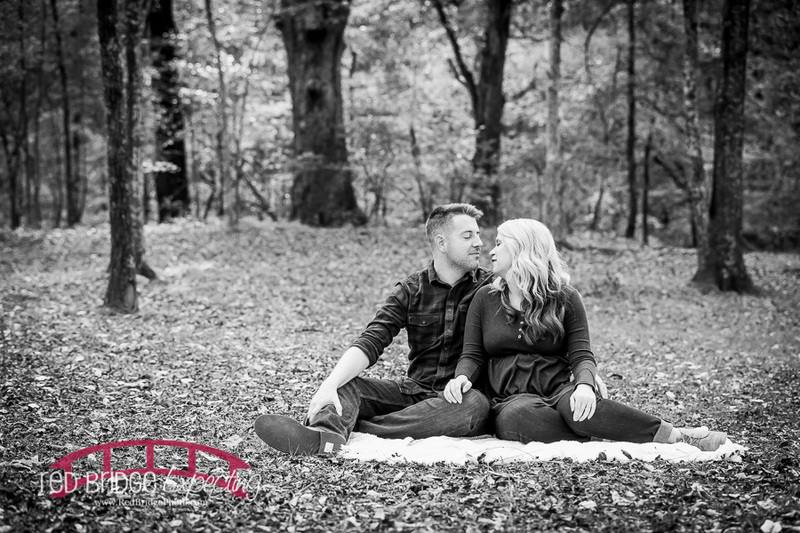 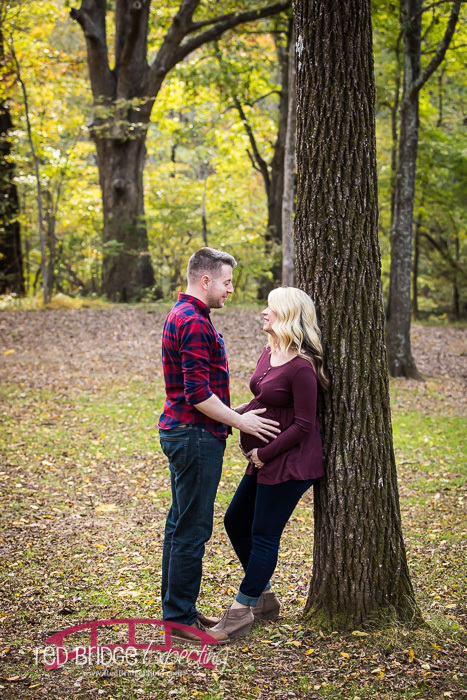 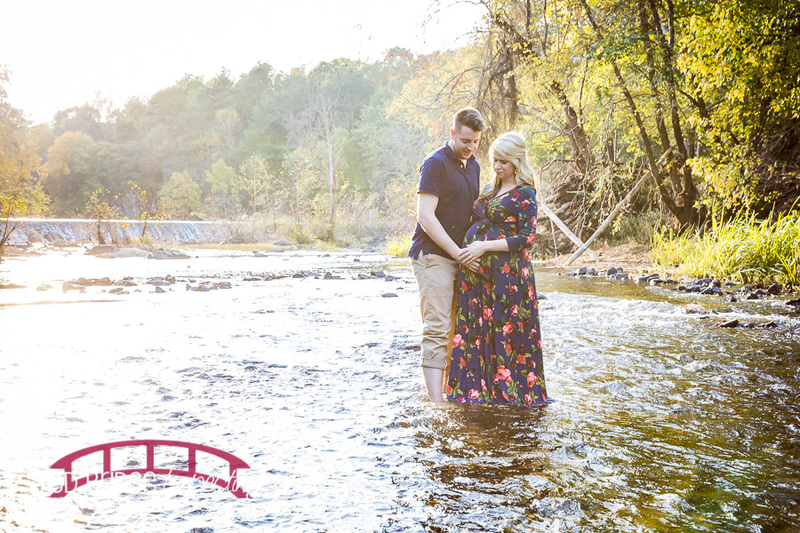 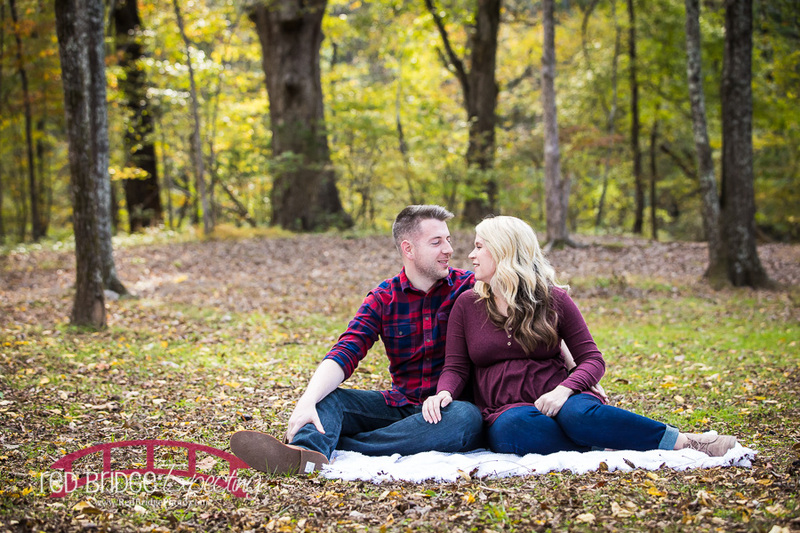 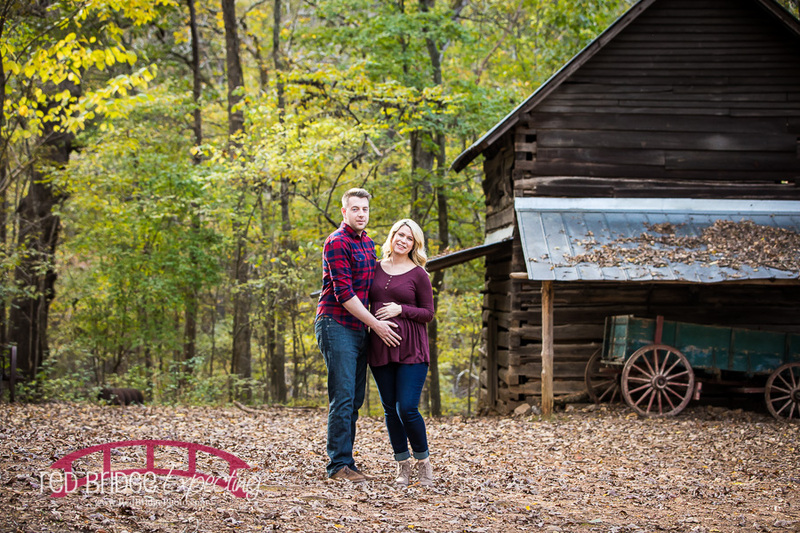 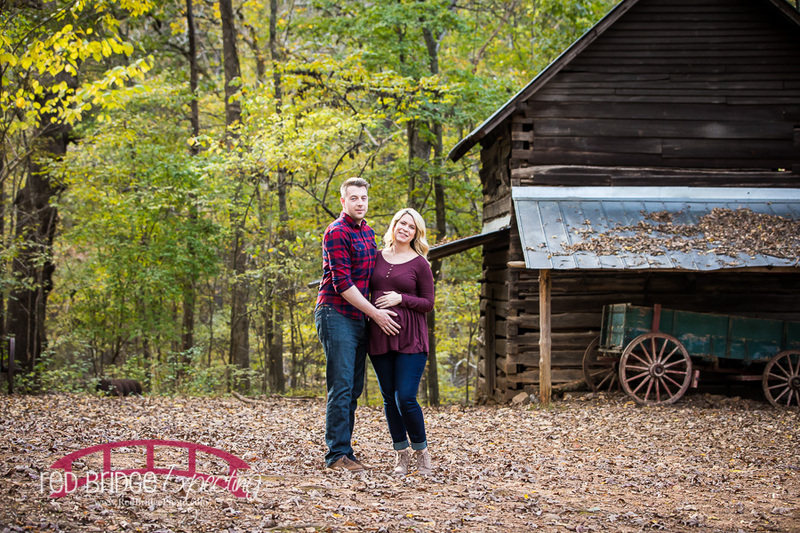 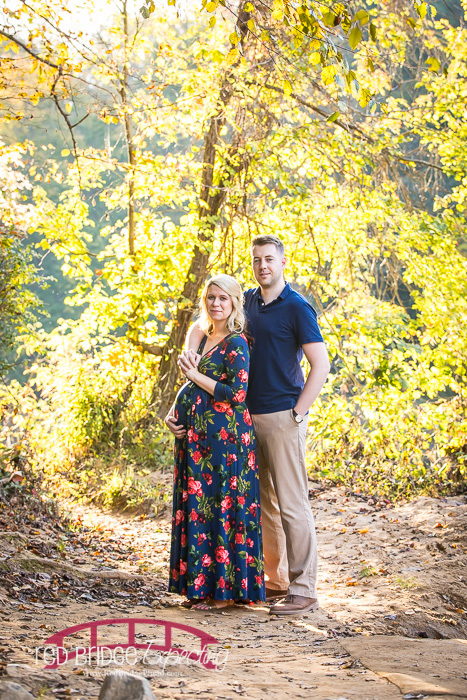 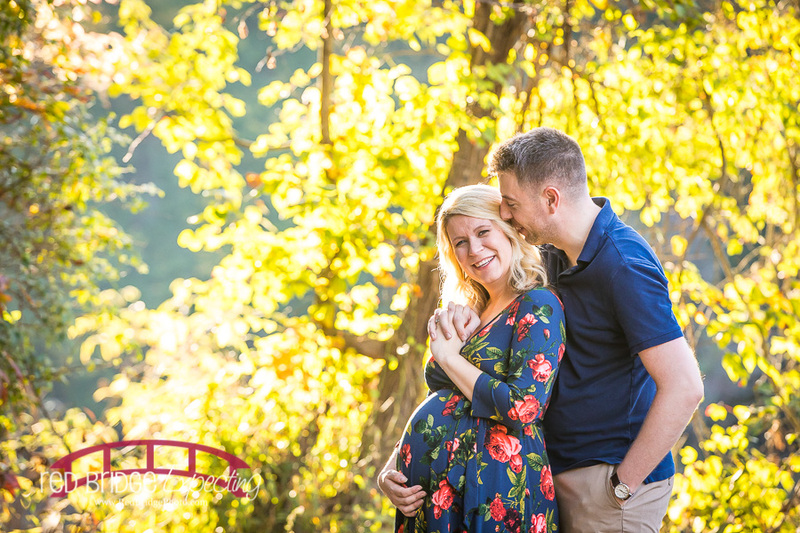 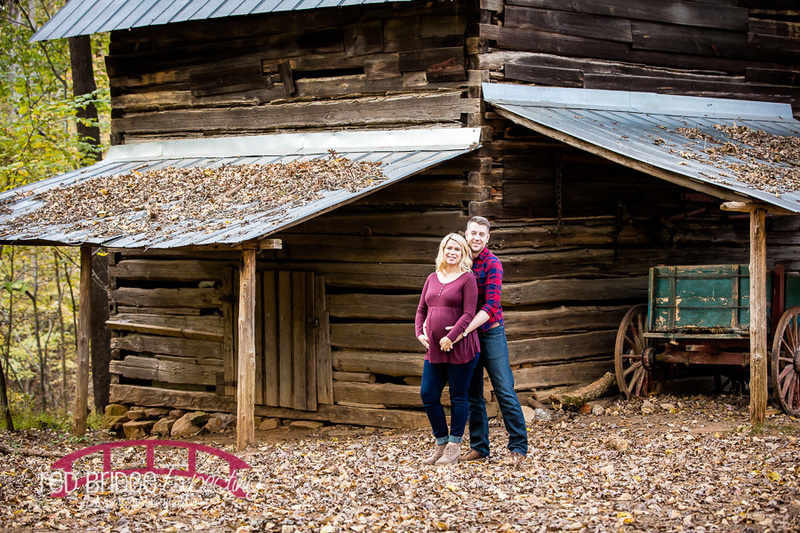 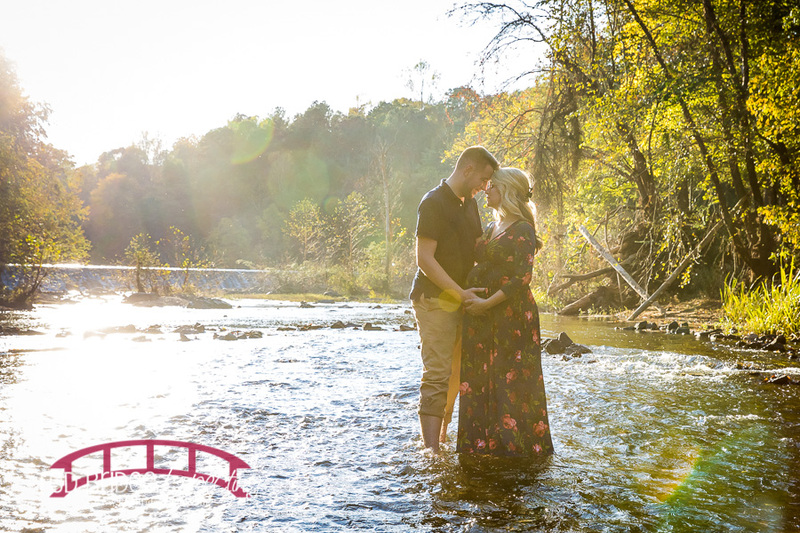 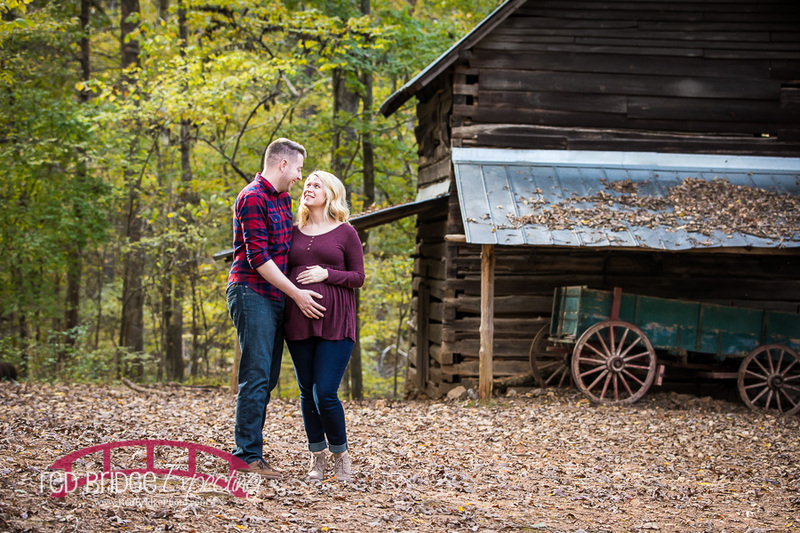 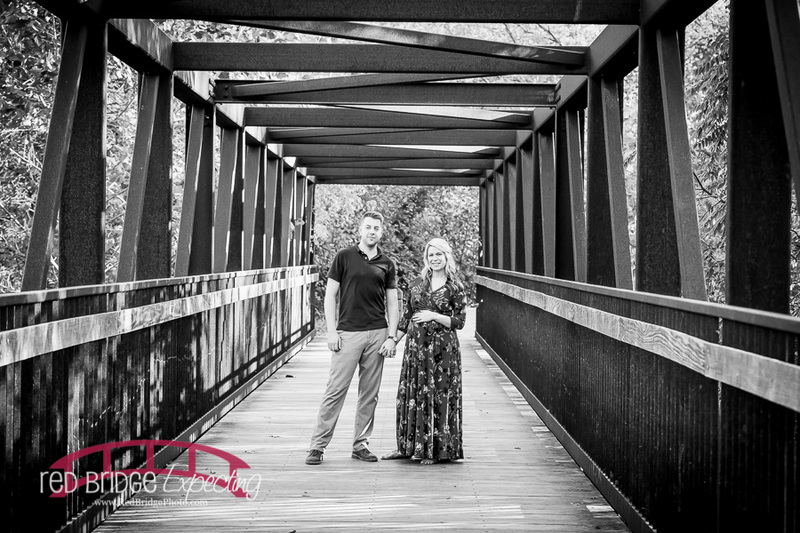 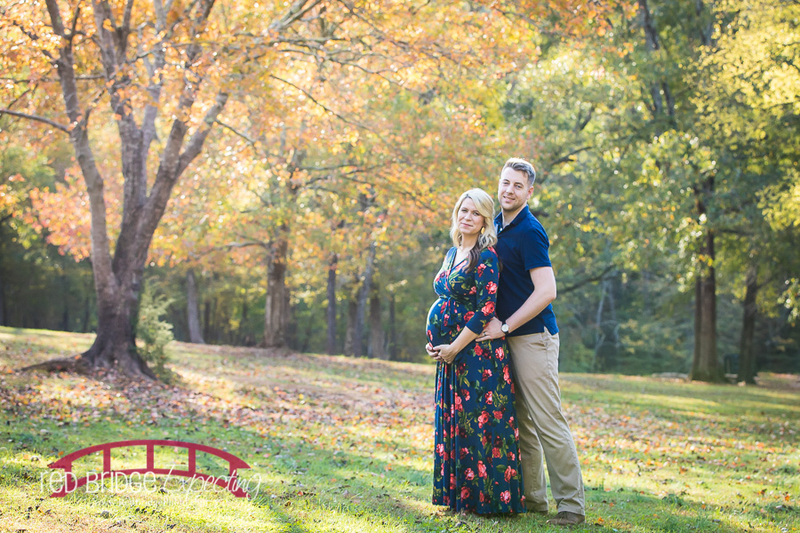 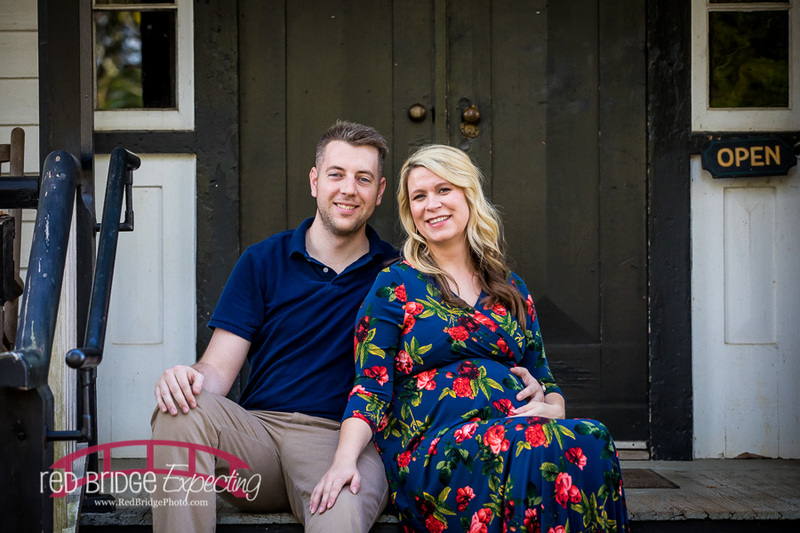 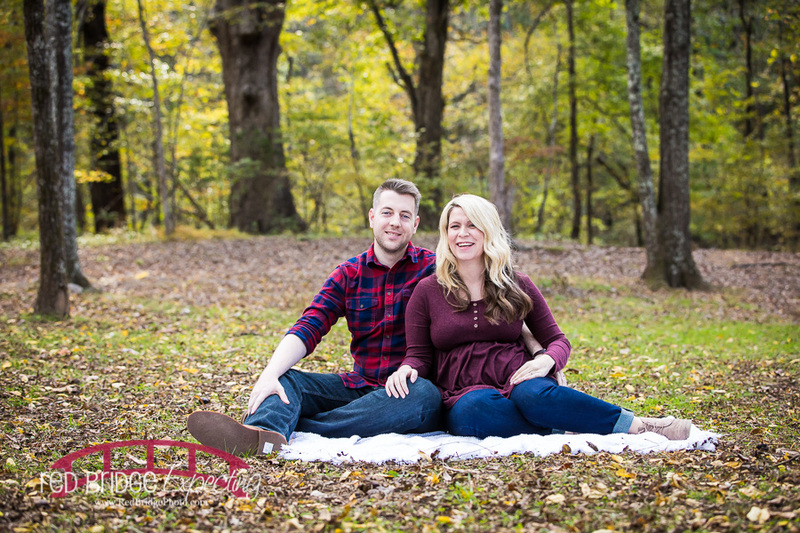 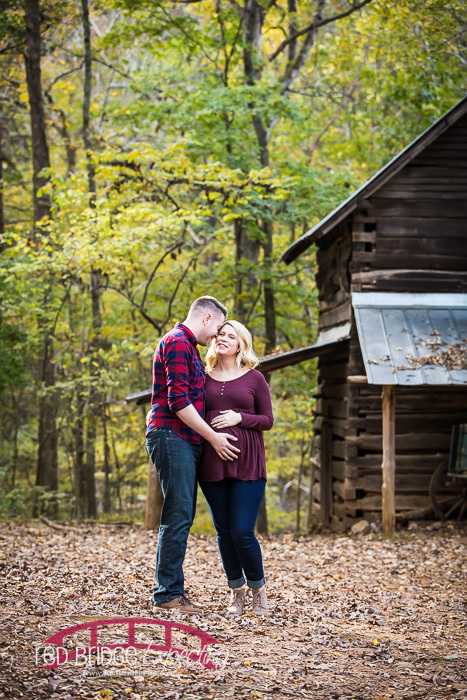 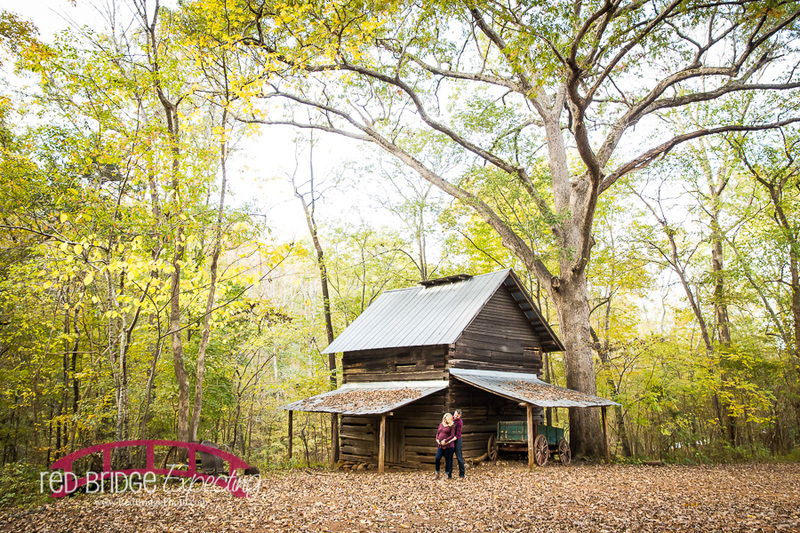 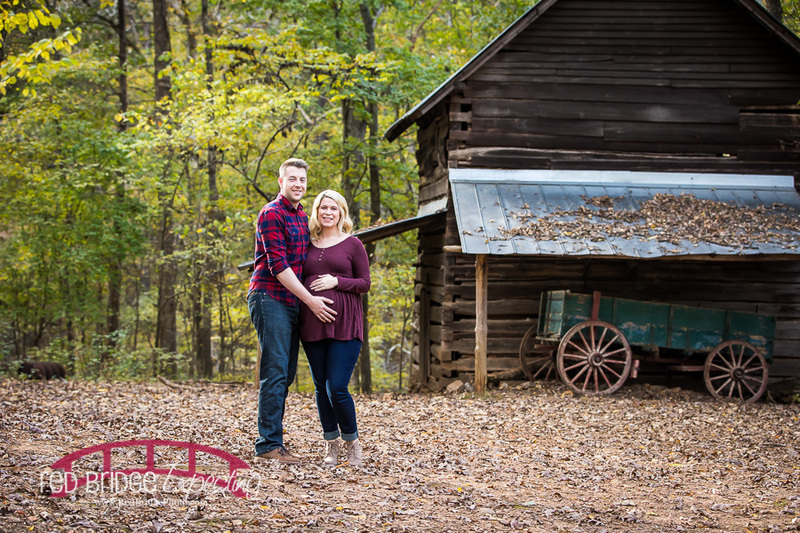 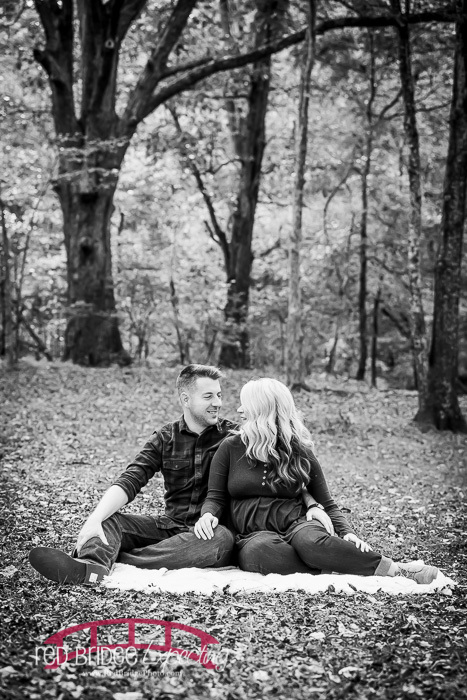 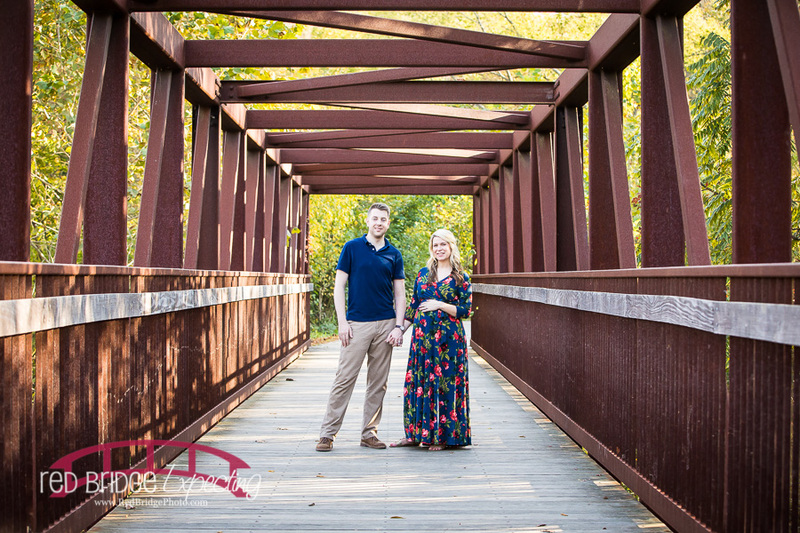 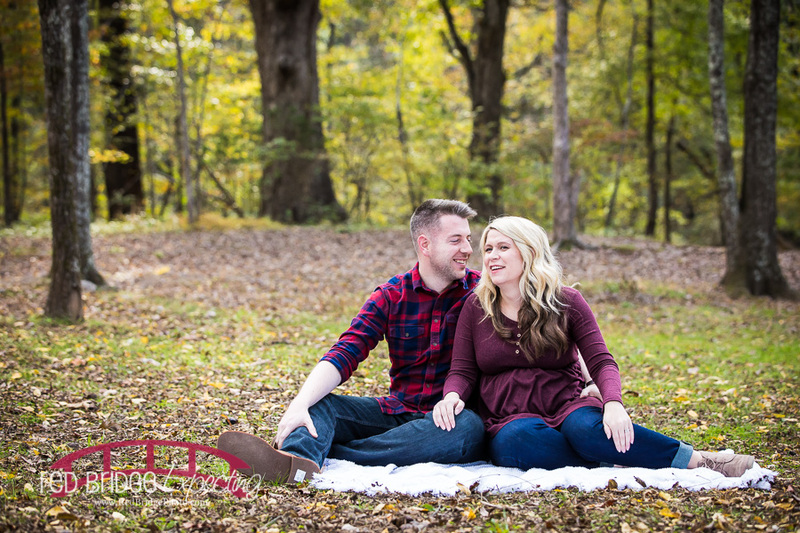 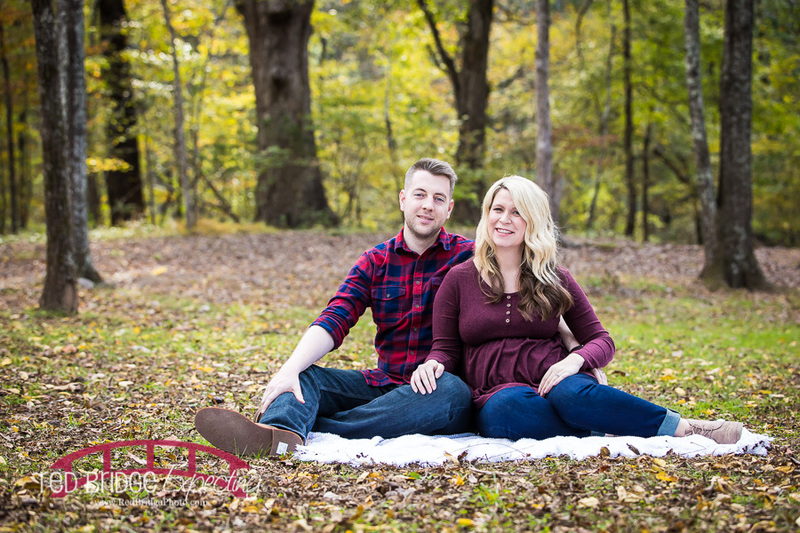 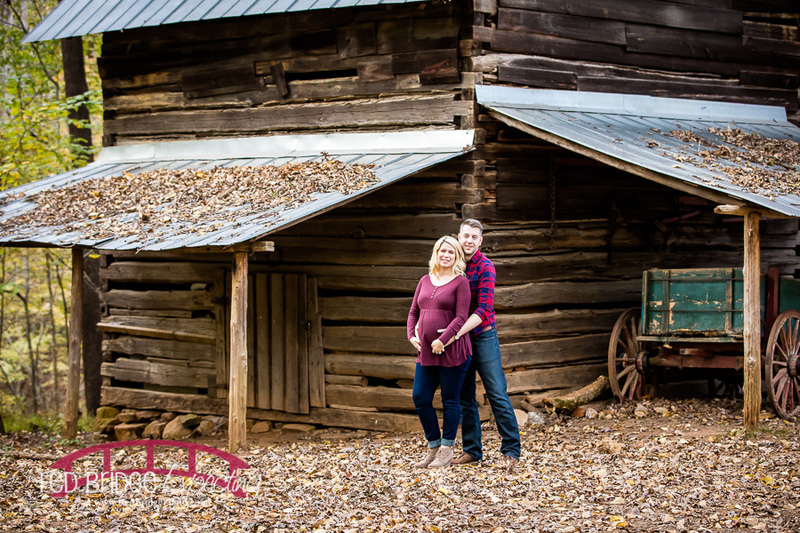 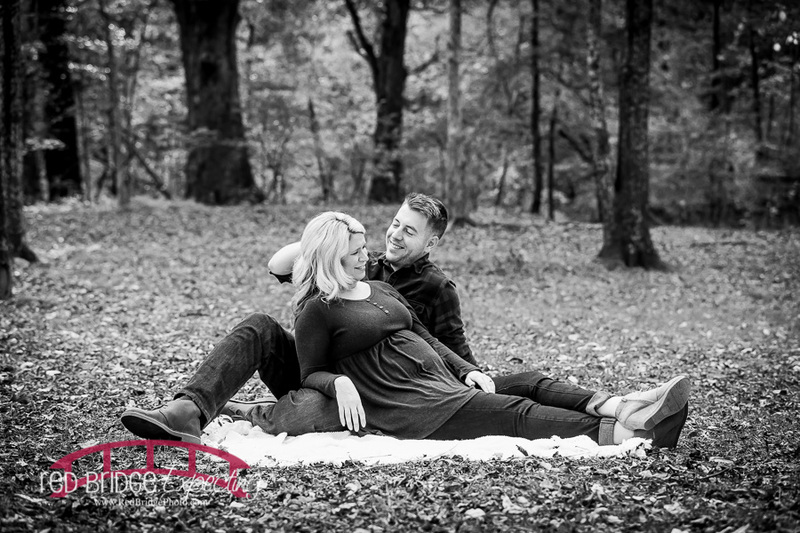 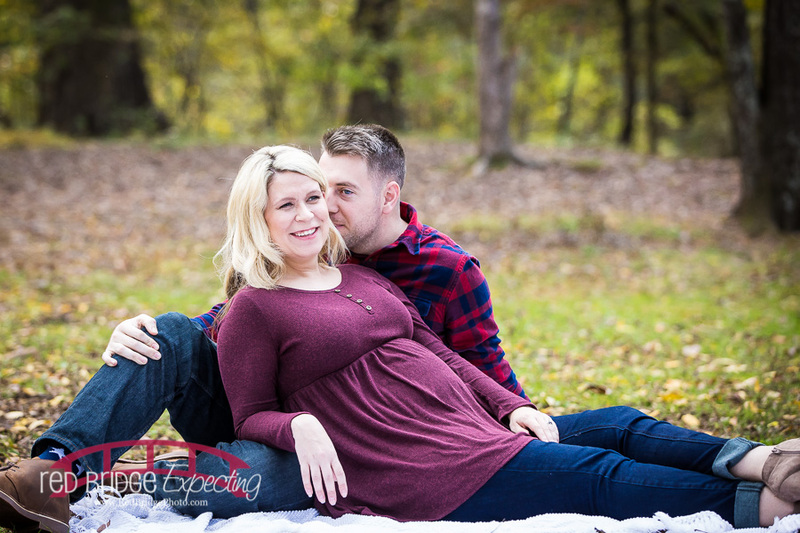 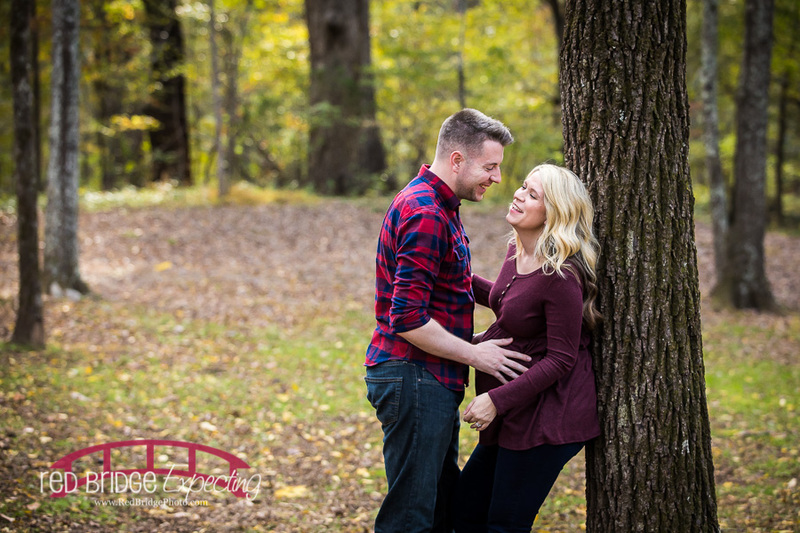 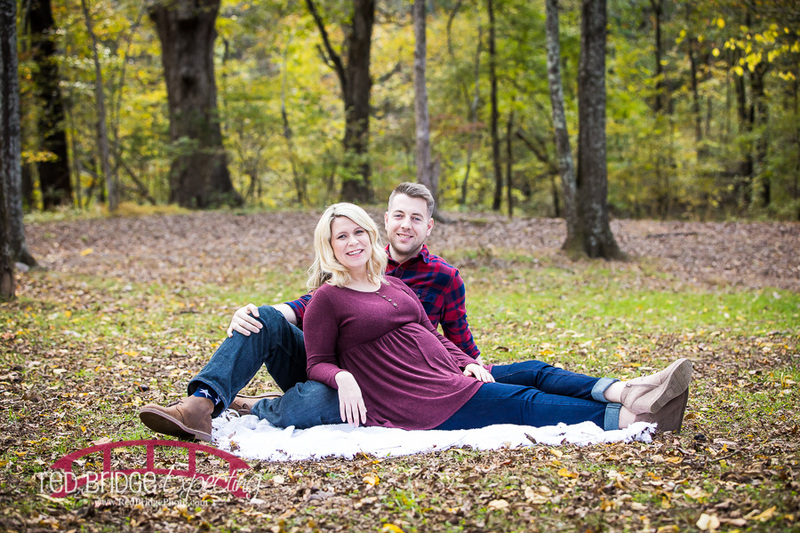 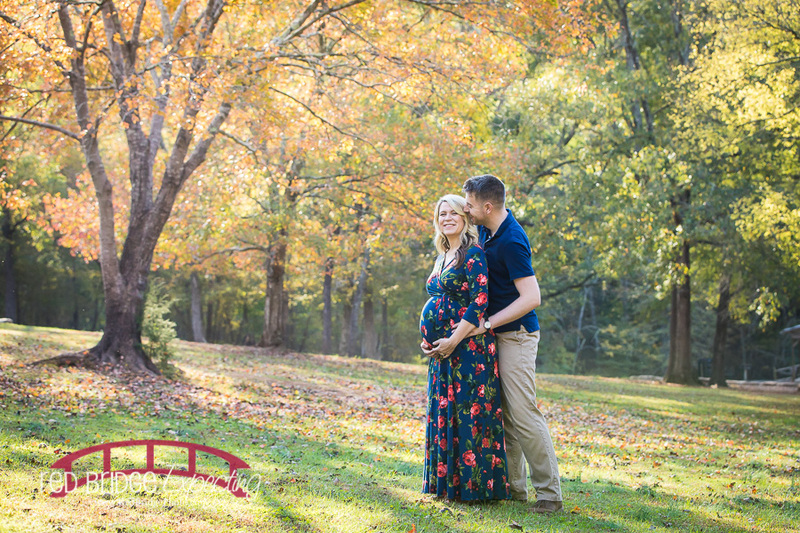 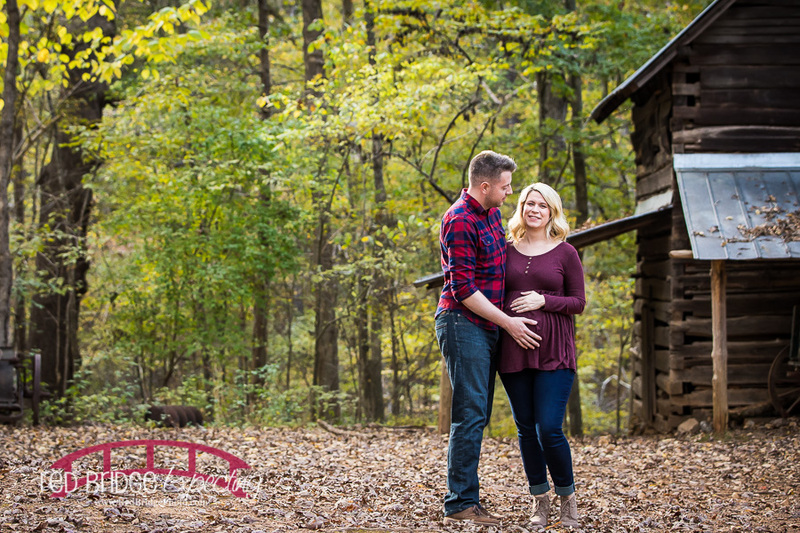 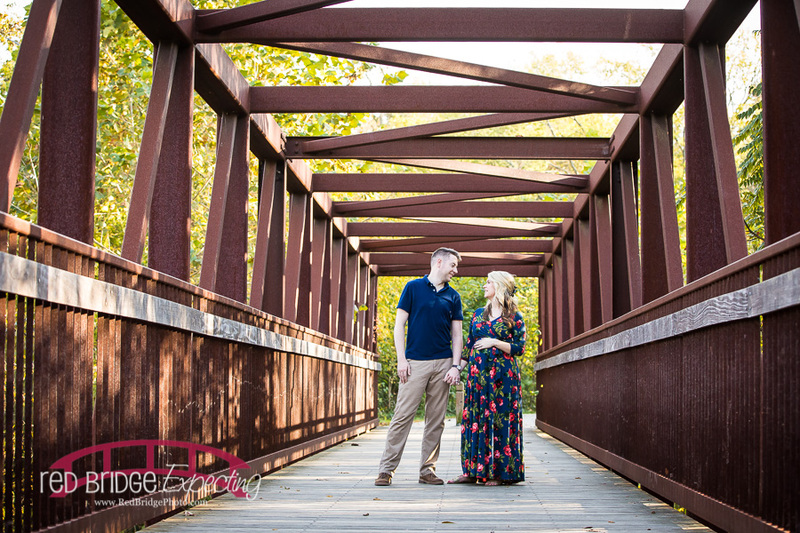 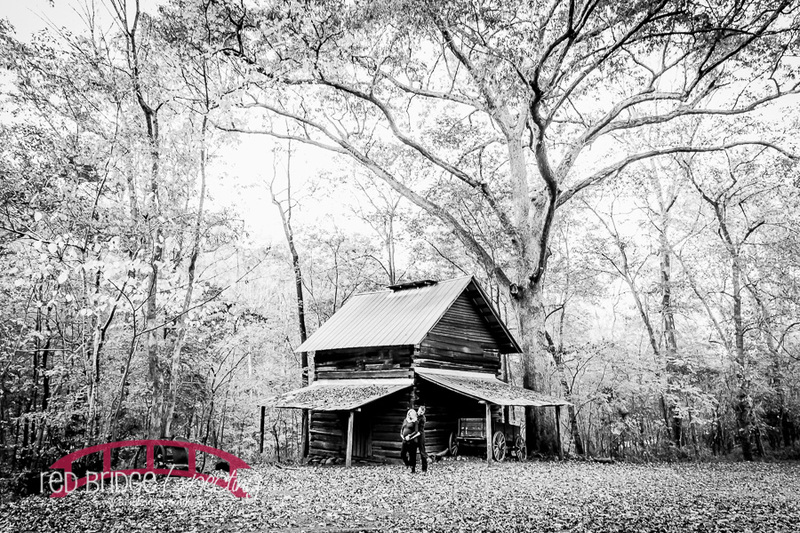 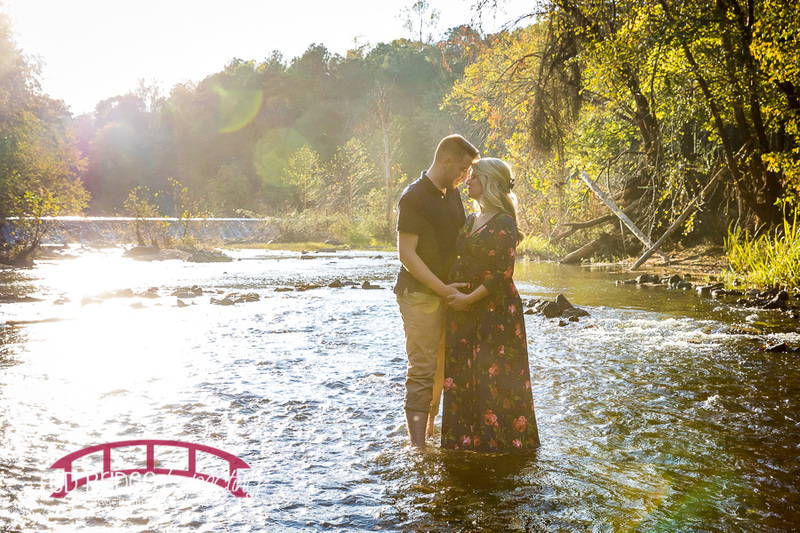 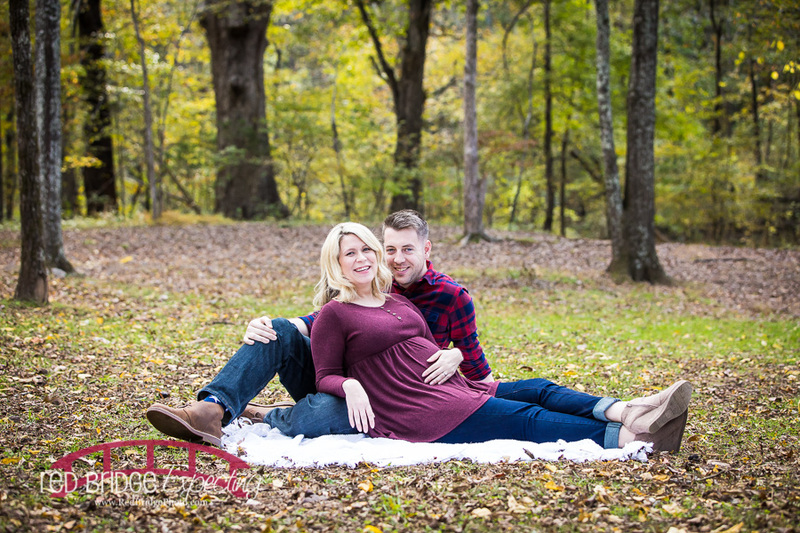 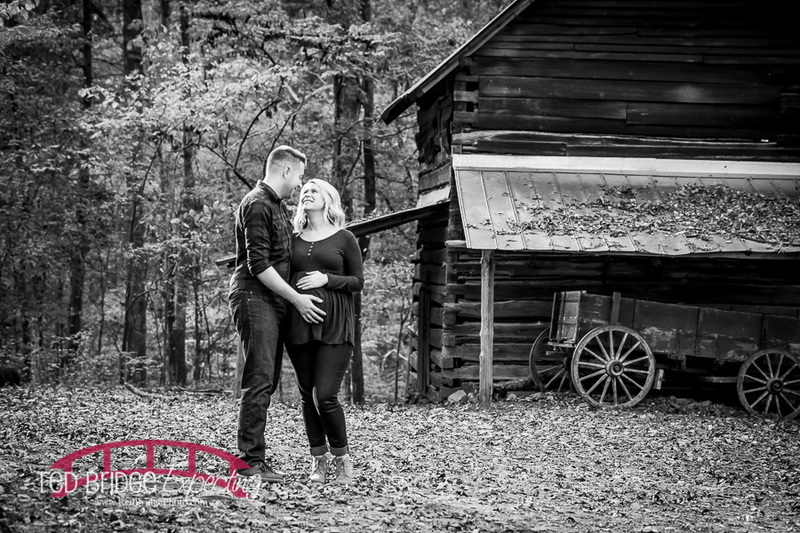 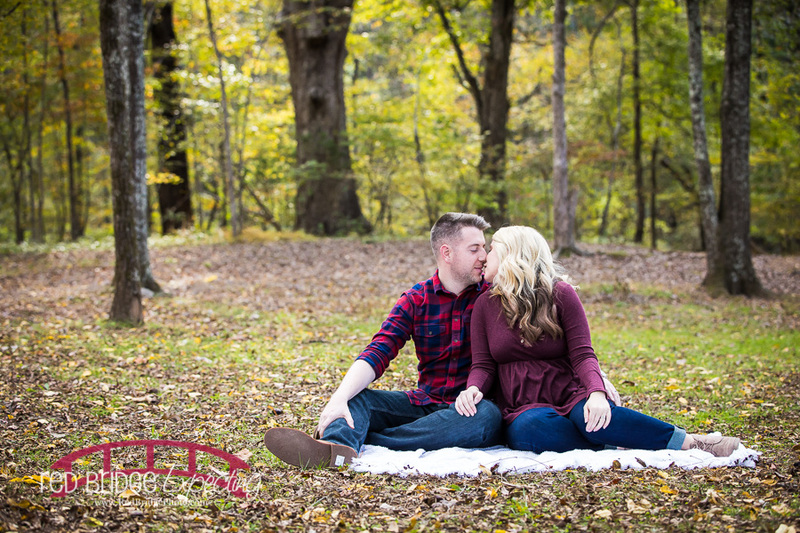 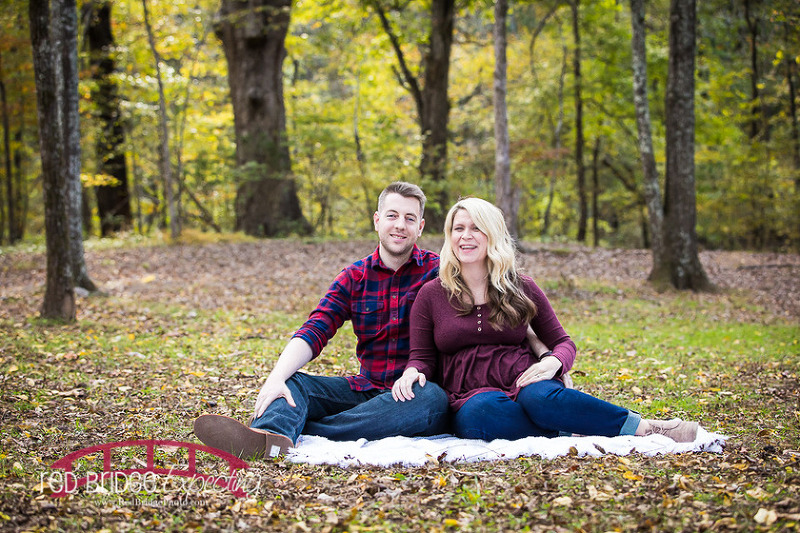 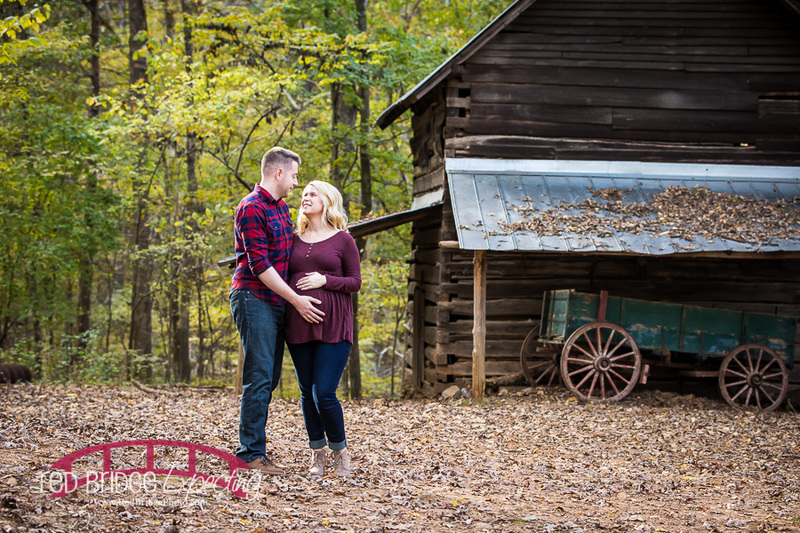 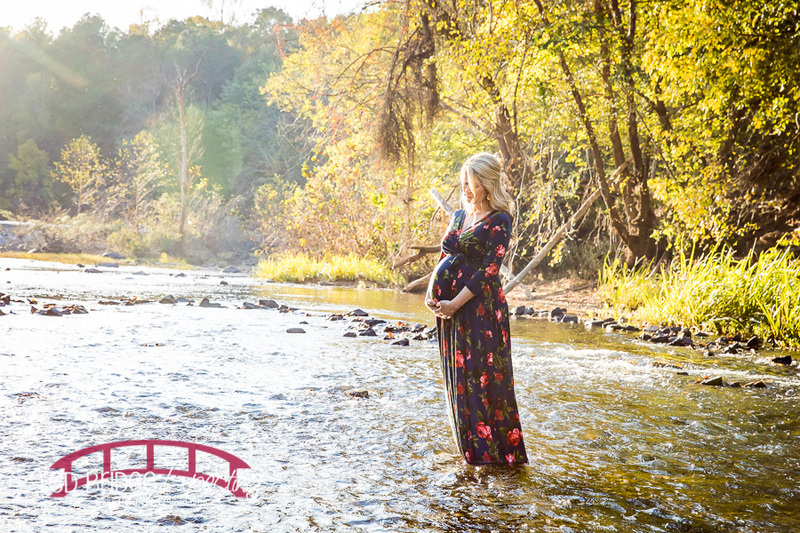 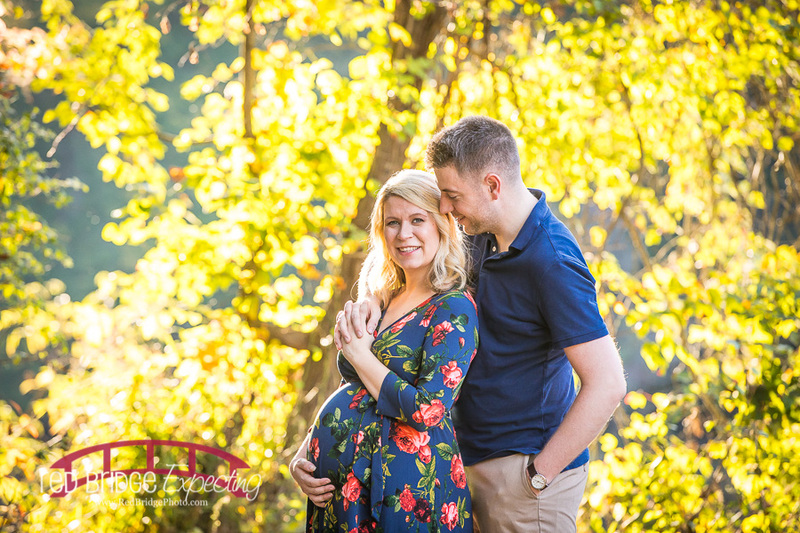 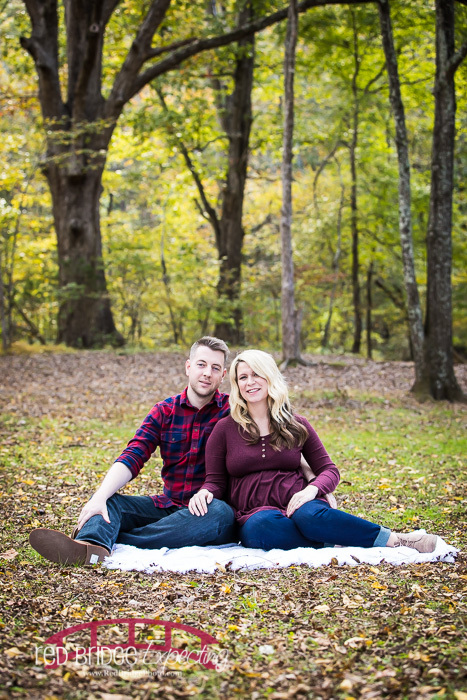 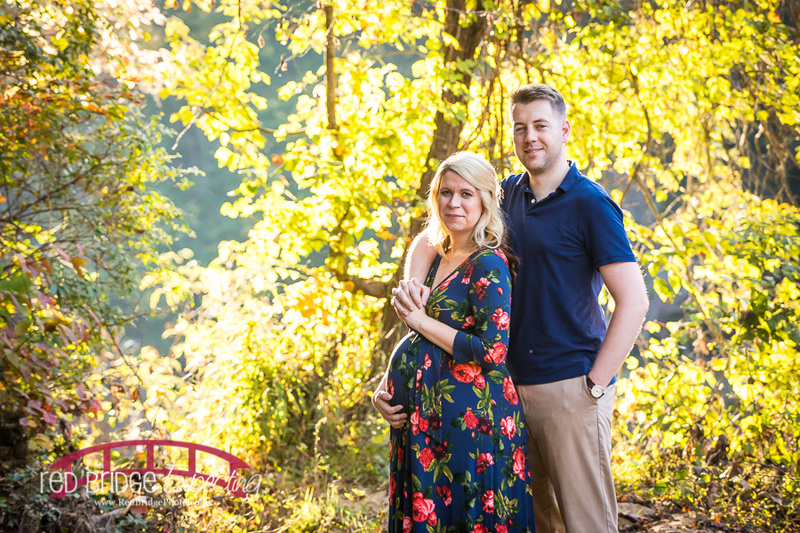 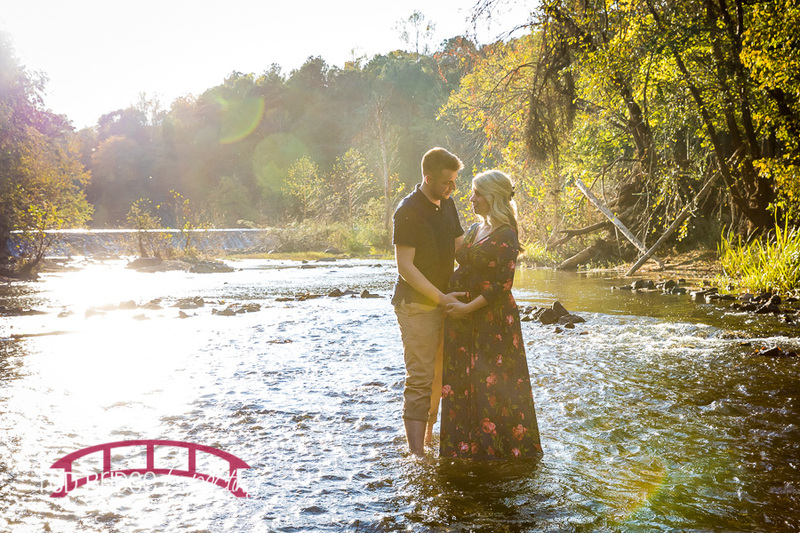 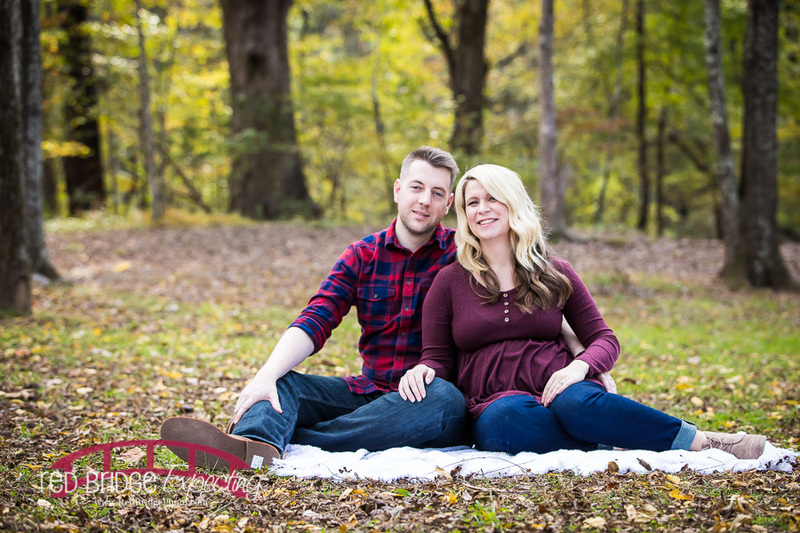 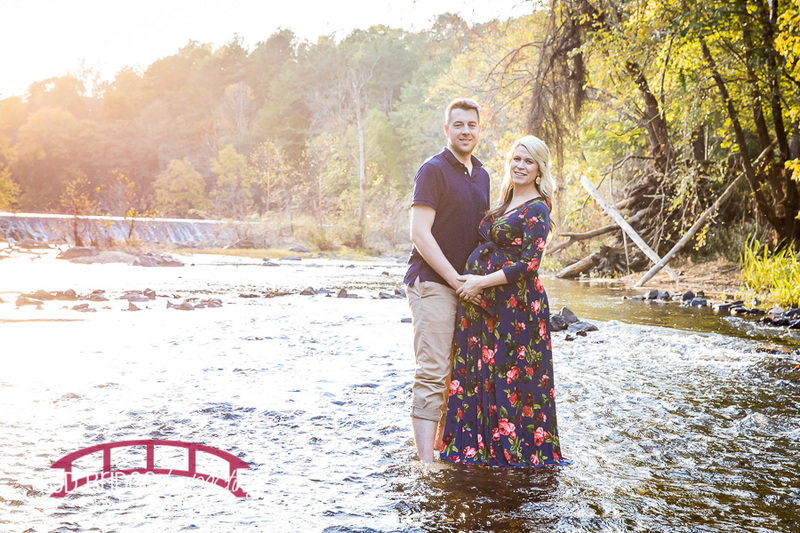 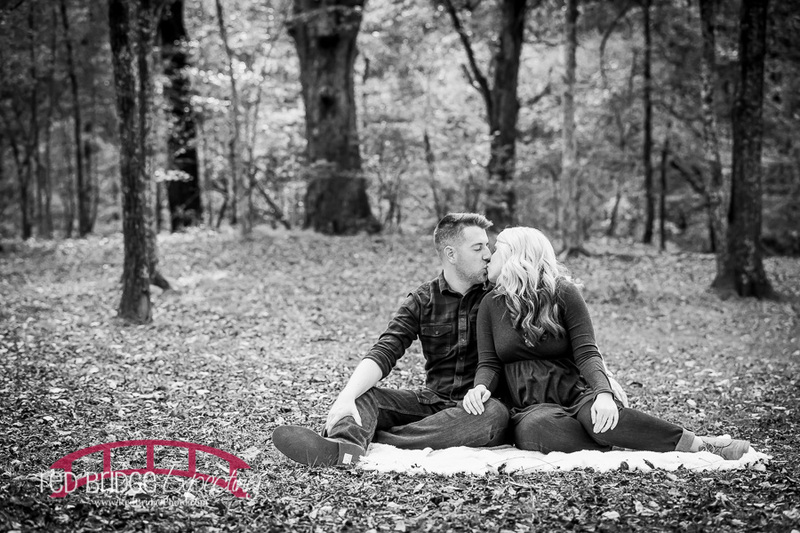 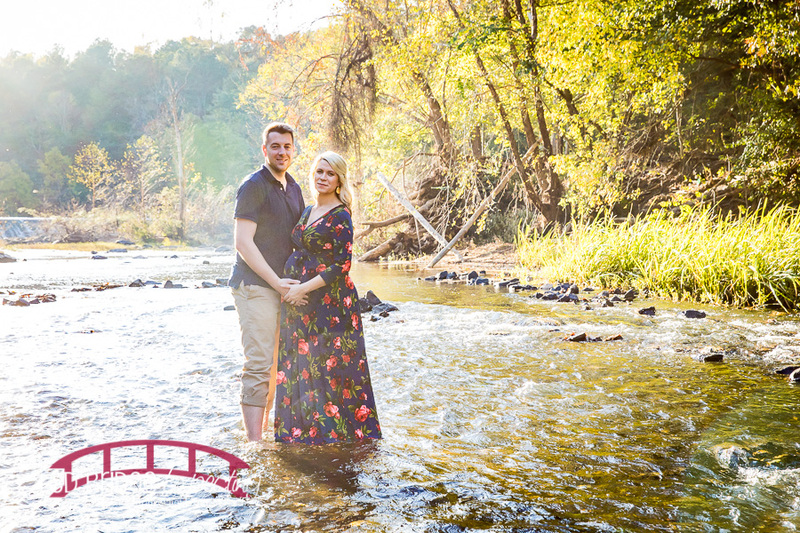 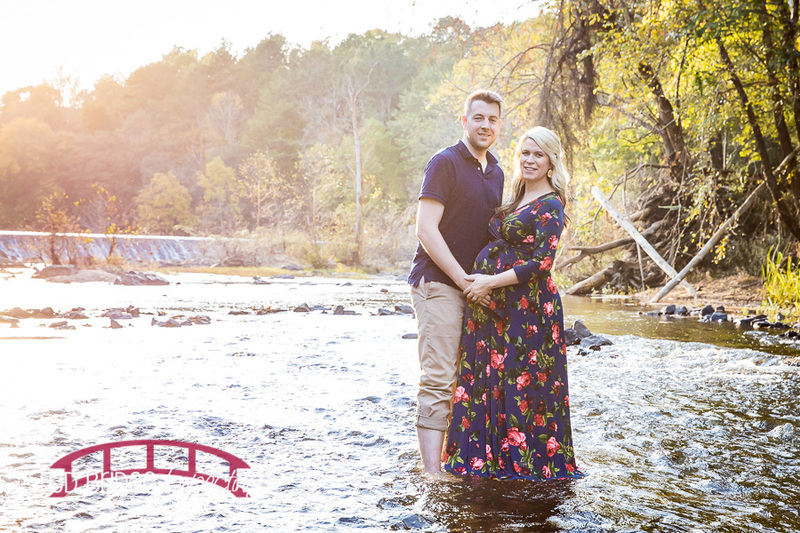 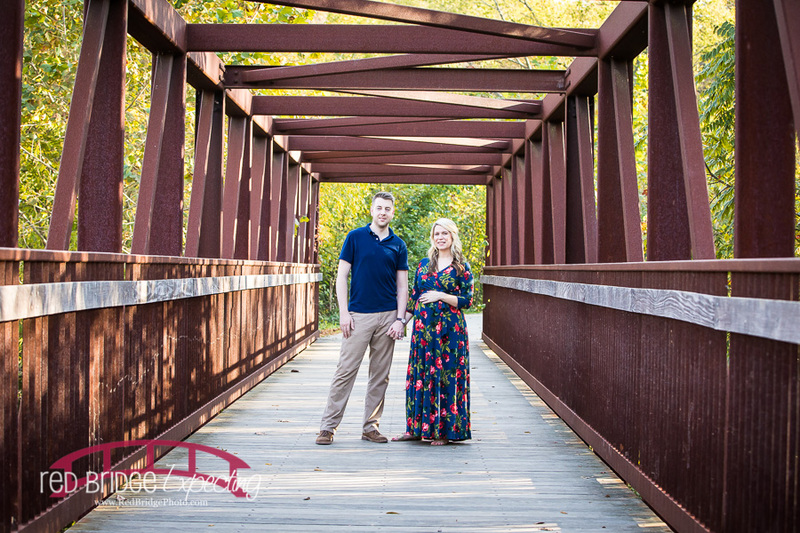 I love me some West Point on the Eno and even better when you have a couple that are up for anything for their maternity session! 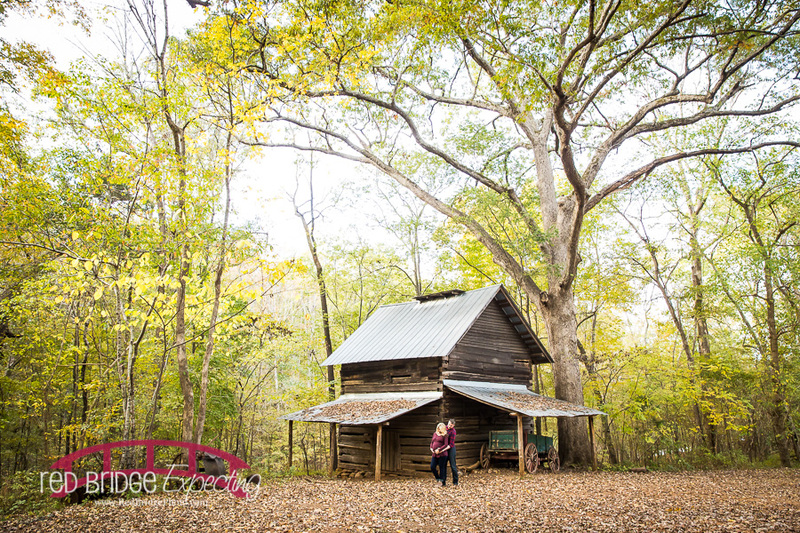 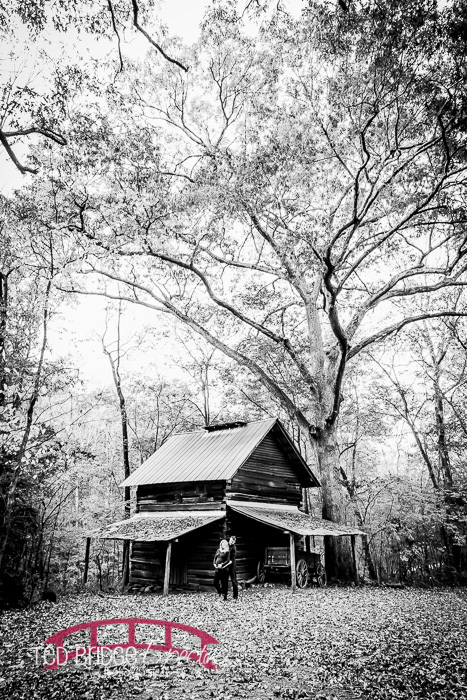 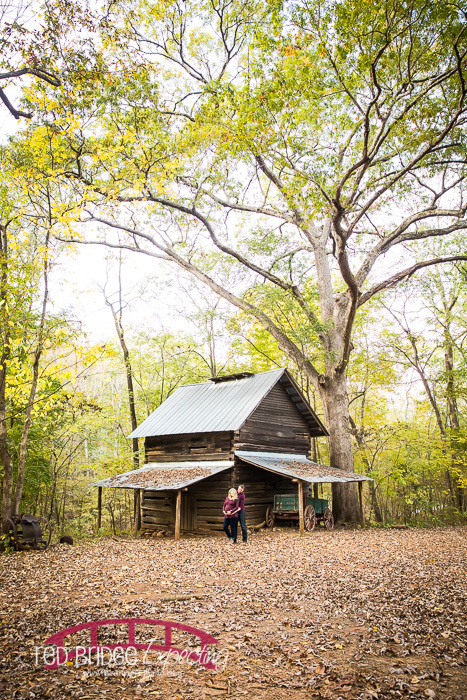 We started amongst the fall trees and leaves near the big barn and wondered our way past the big white house and sat a spell. 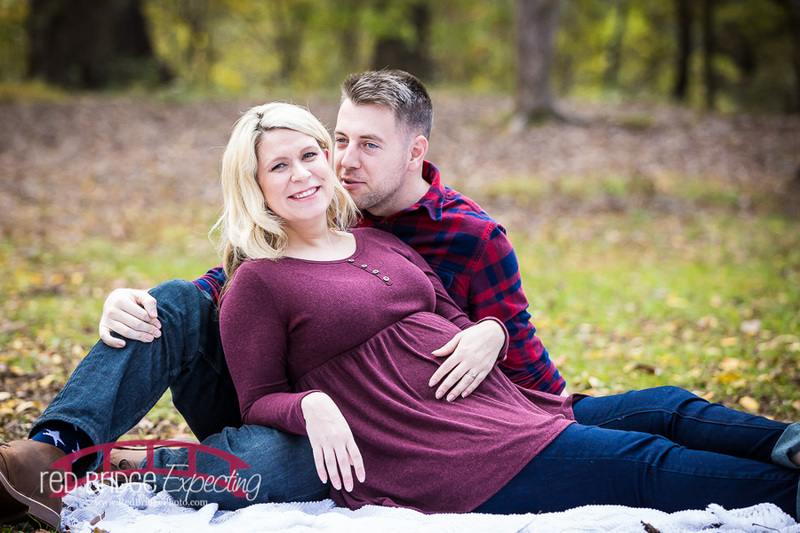 Dad Corey was really not enjoying the experience at first but he was an absolute trooper and really got into it after a little bit. 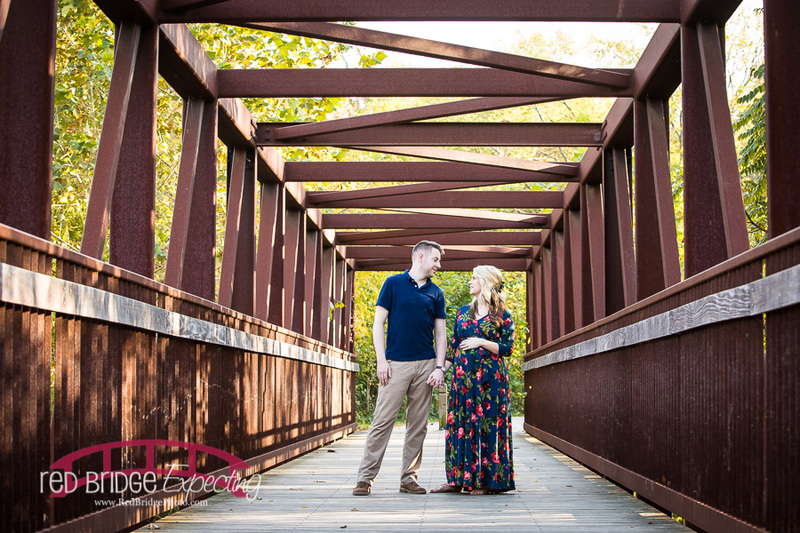 They brought a change of clothes for the session and what they brought was the perfect bit of casual and dressy especially for West Point. 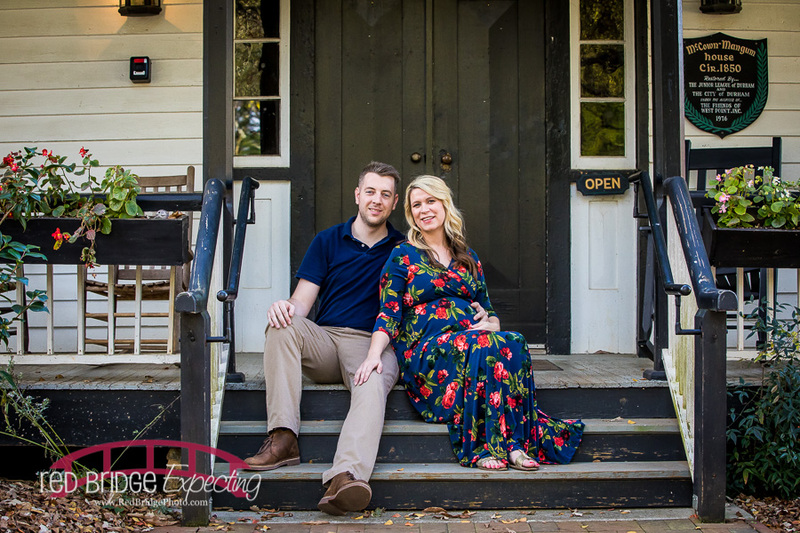 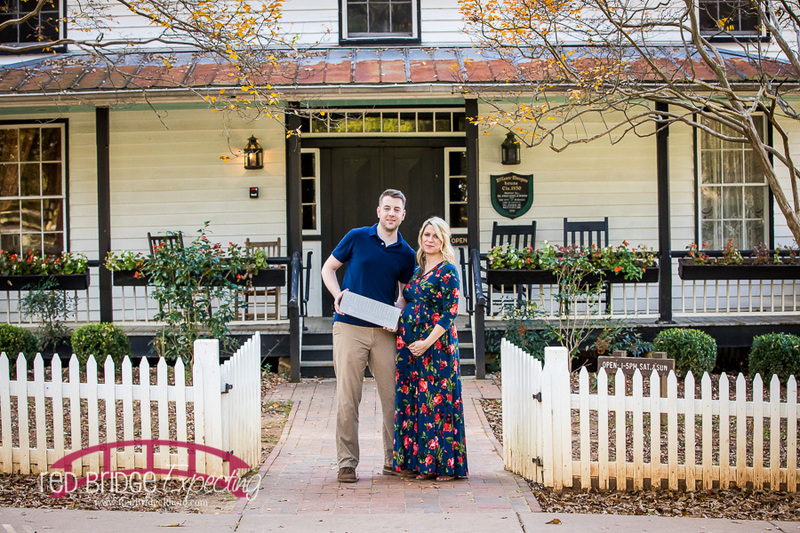 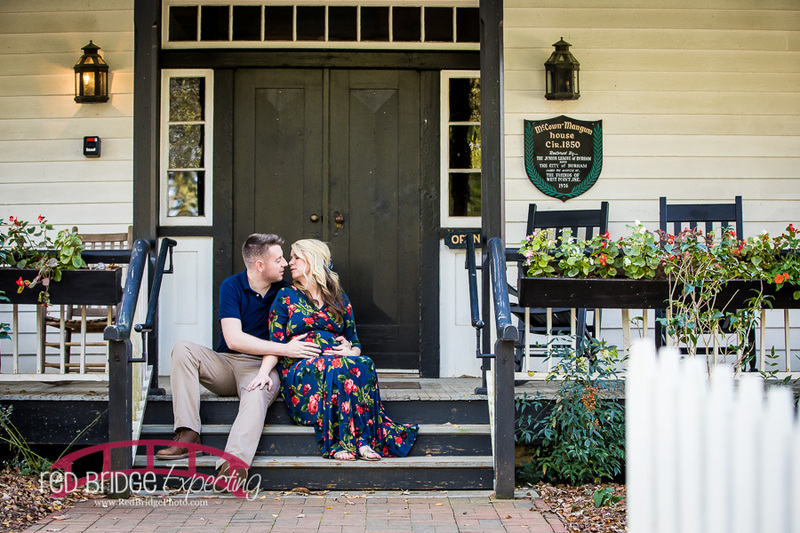 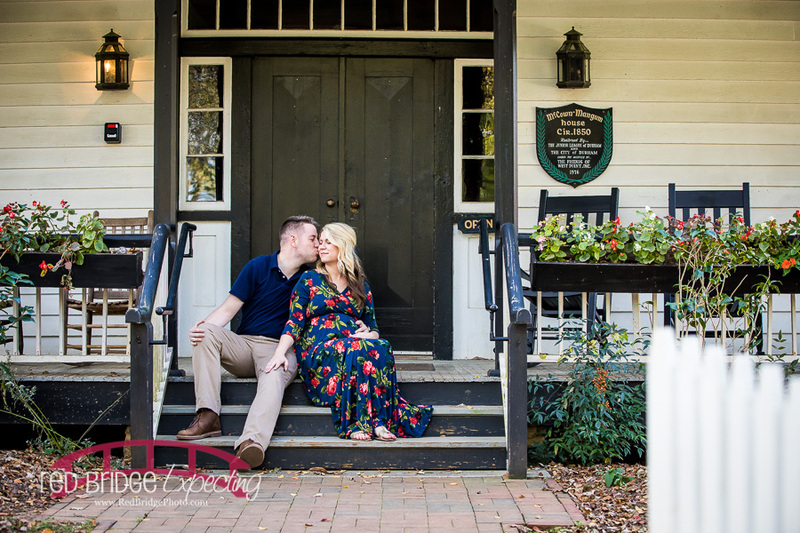 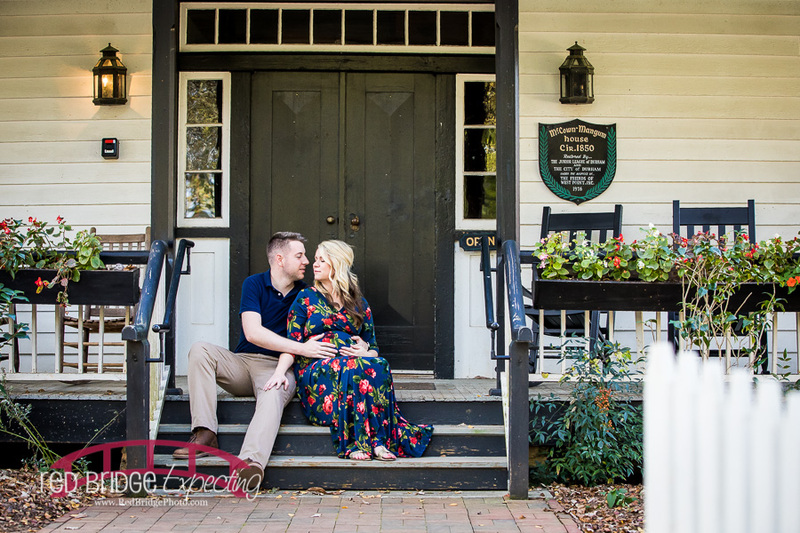 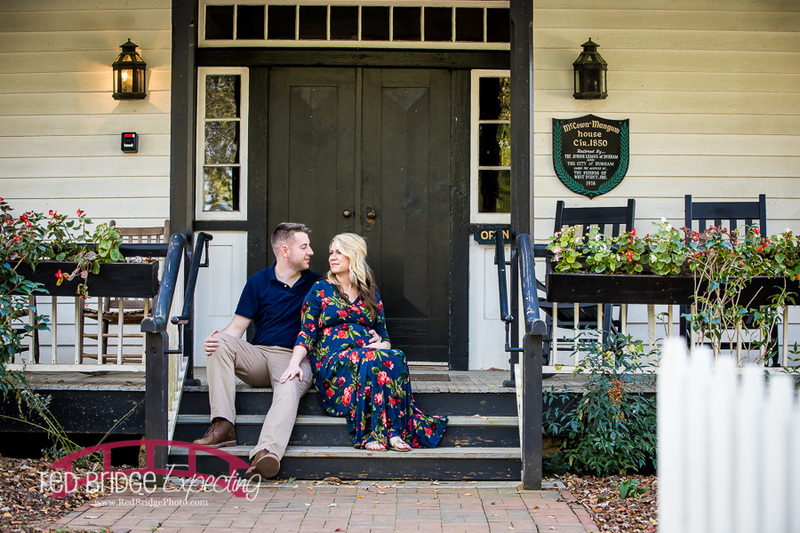 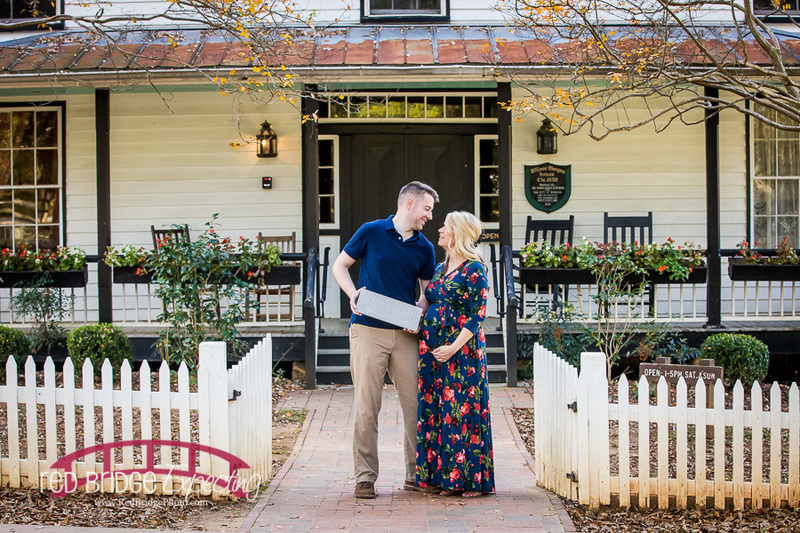 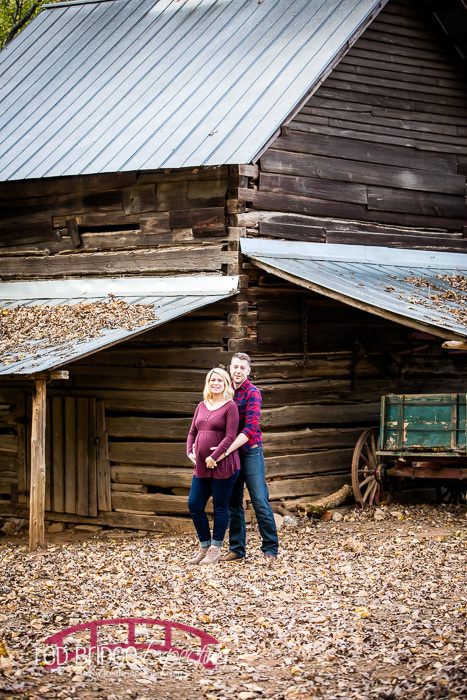 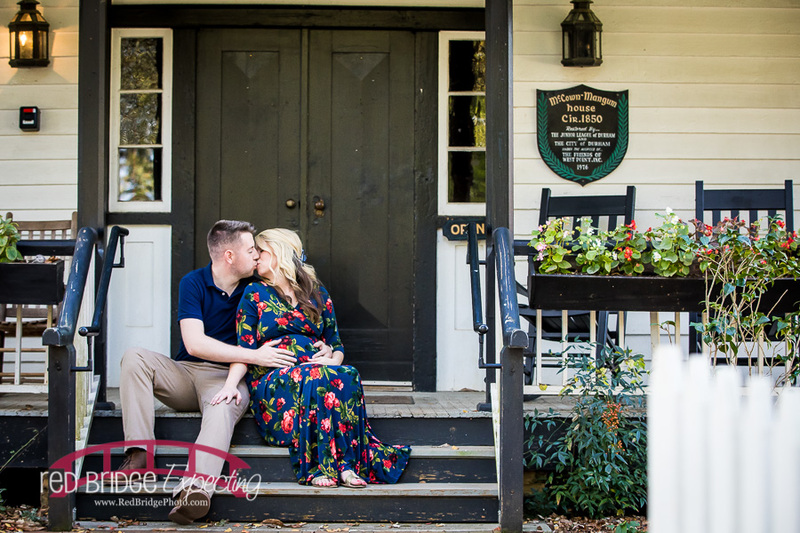 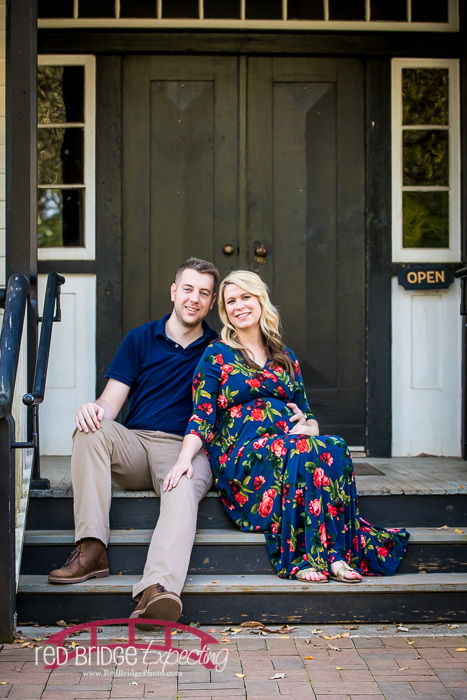 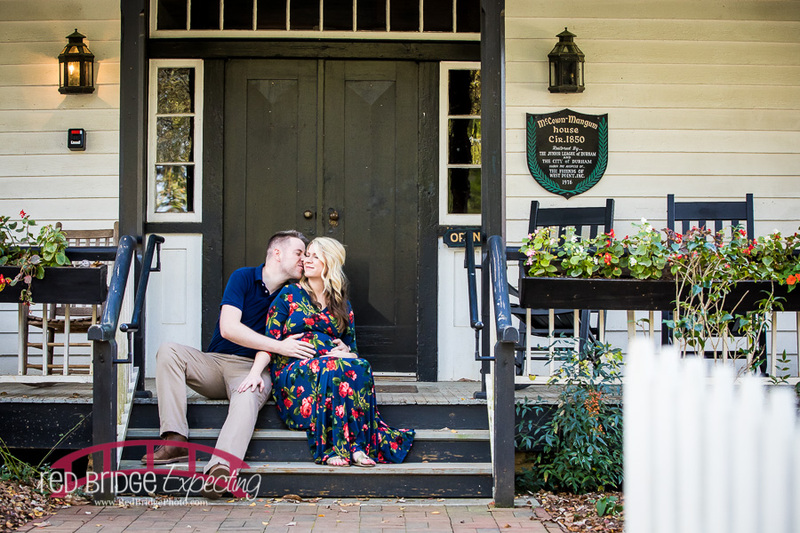 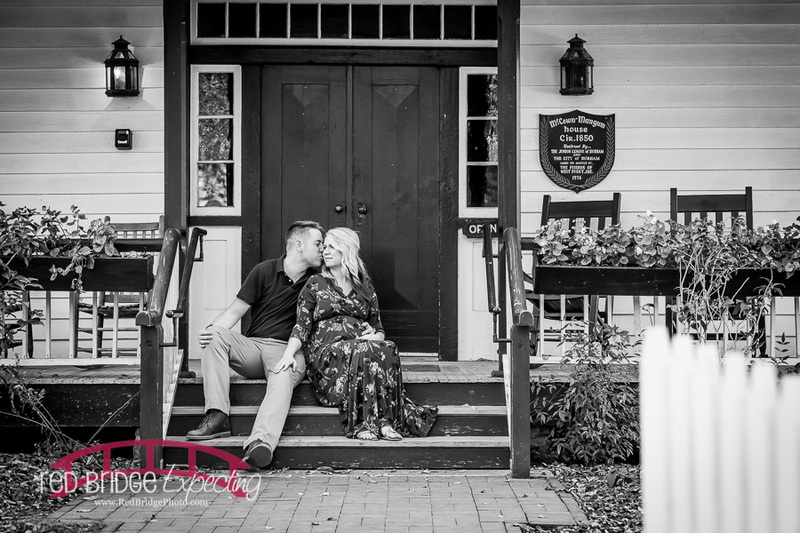 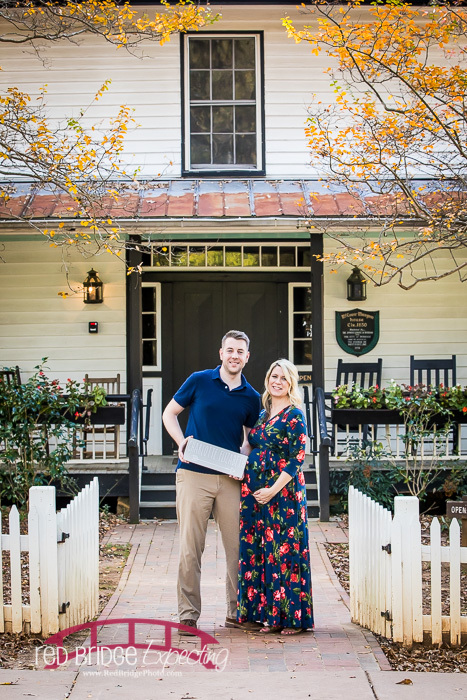 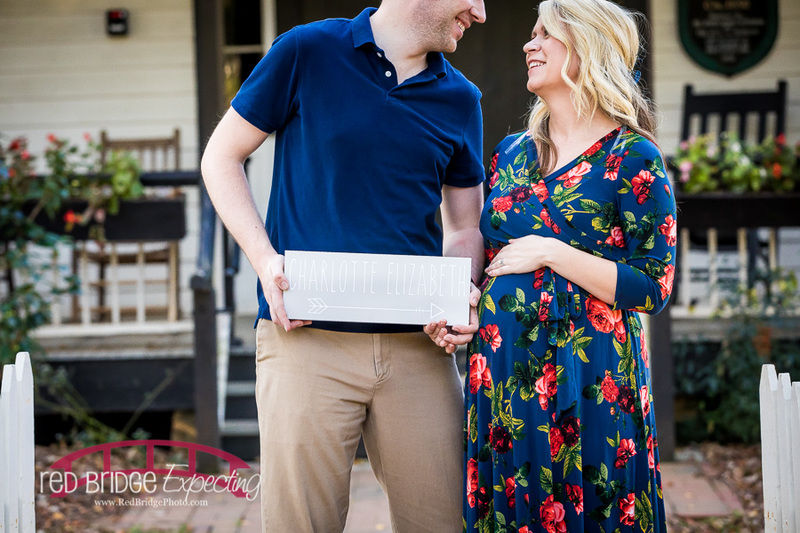 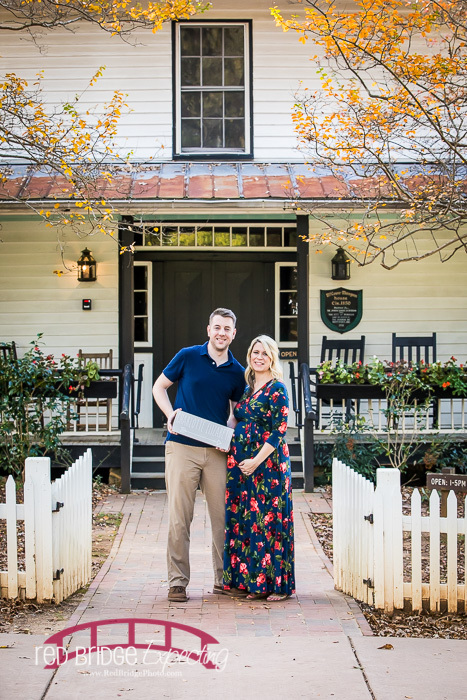 This beautiful woodsy and rustic venue in North Durham has so many beautiful places and I love, love, love Emily’s dress that she changed into and also the brought a sign with them to welcome and introduce their little ones name to everyone! 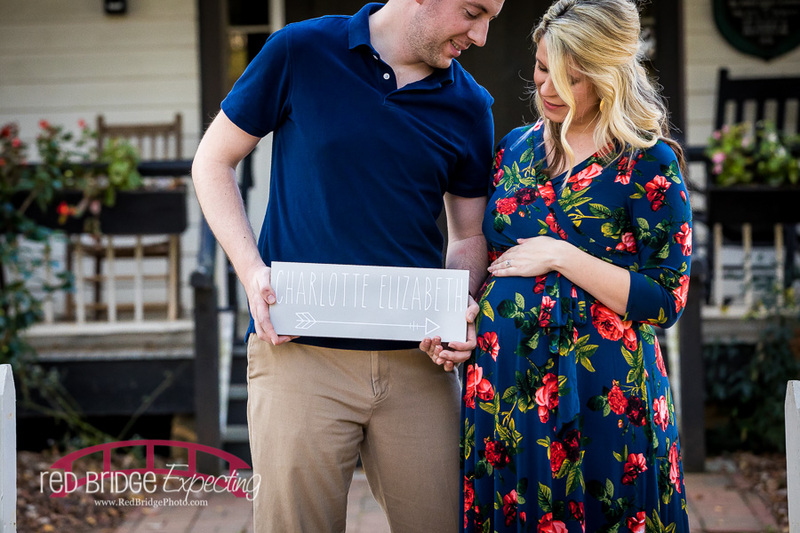 They decided already to name their little girl Charlotte as Charlotte, NC is a special place for the both of them. 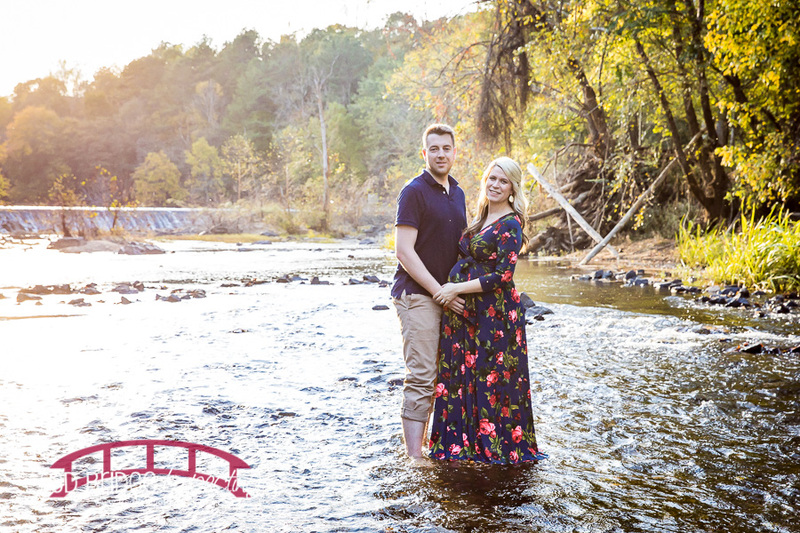 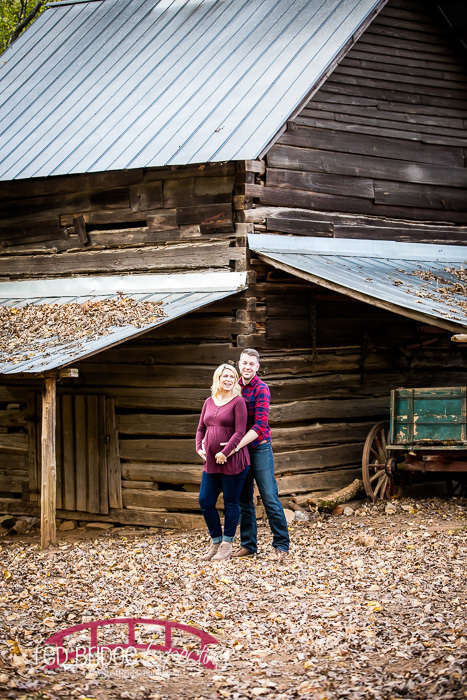 When we walked past the walking access point of the Eno River at West Point – I paused and asked “how adventurous are y’all feeling?” To my delight Emily asked “you mean, go in the water?” I paused and hesitantly said “well, yes.” They both were up for it! 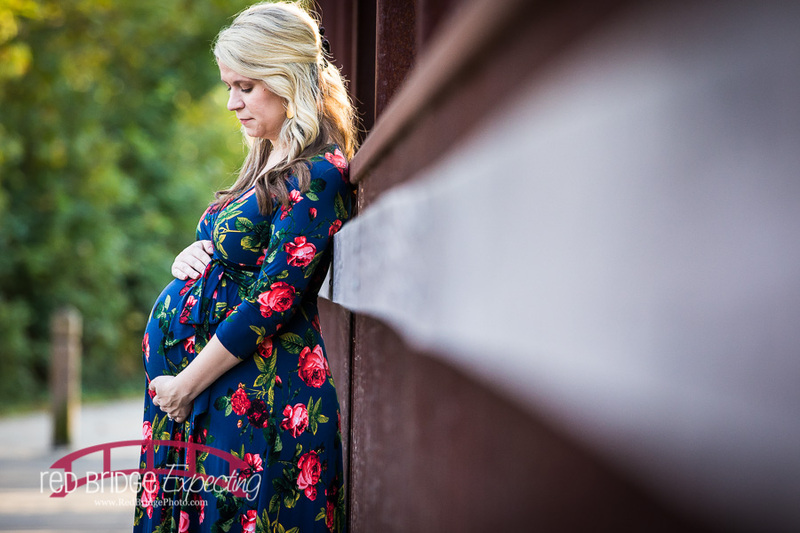 And Oh.Em.Gee. 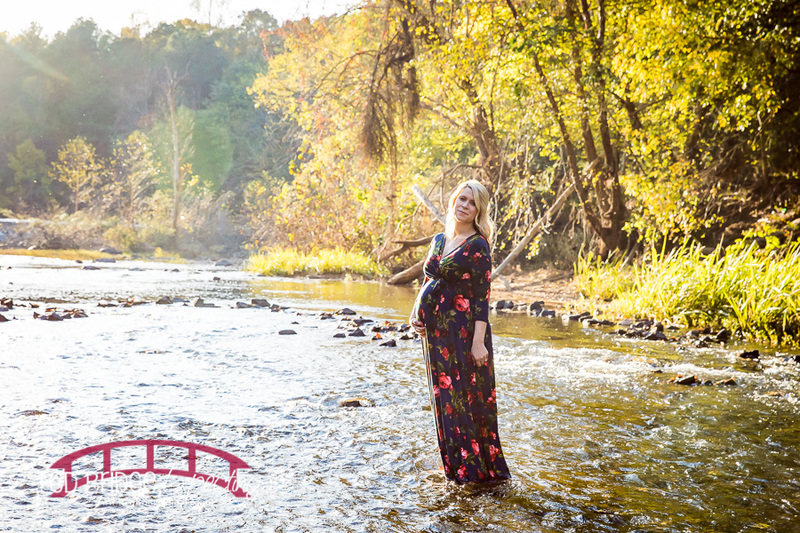 what an awesome session and I got some cool water between my toes too! 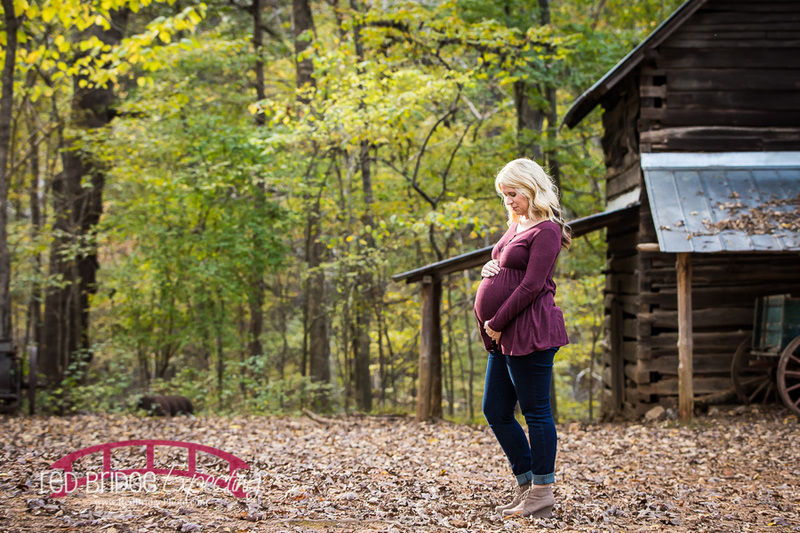 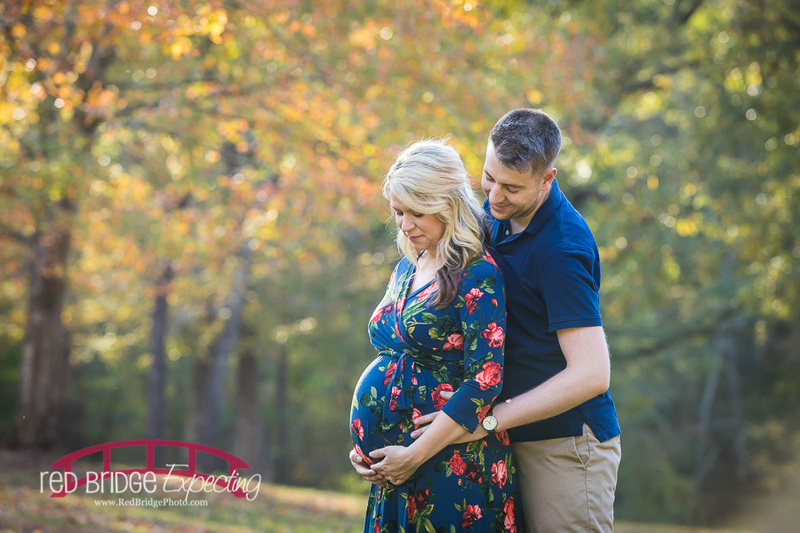 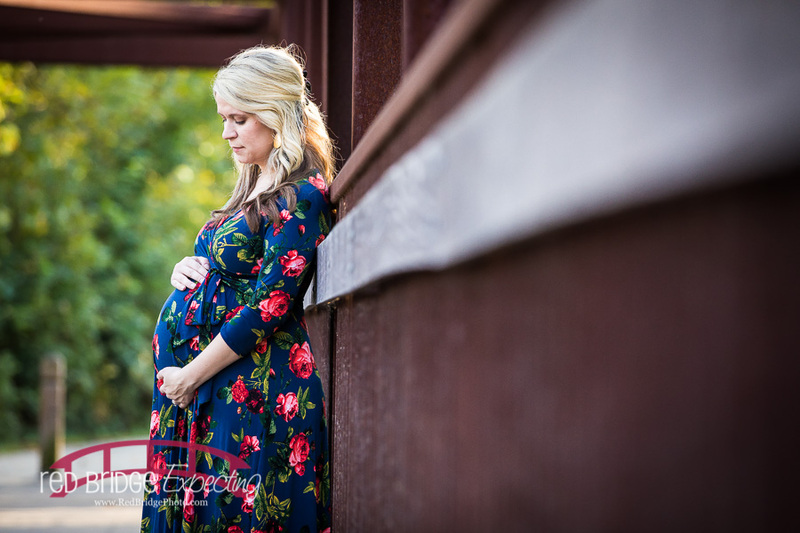 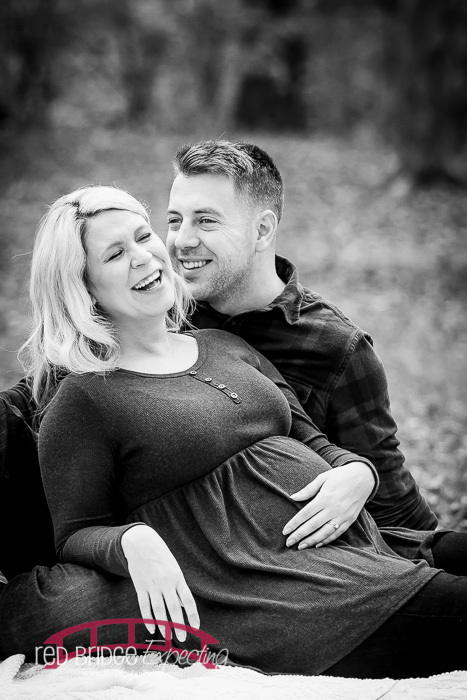 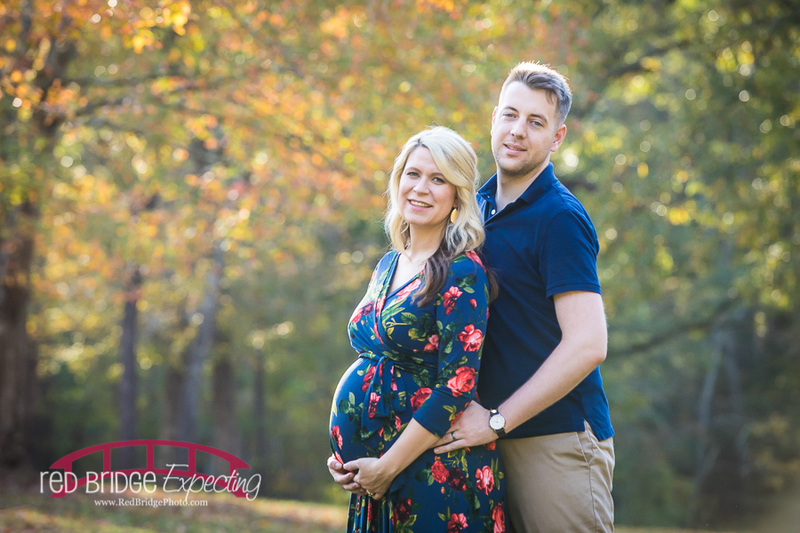 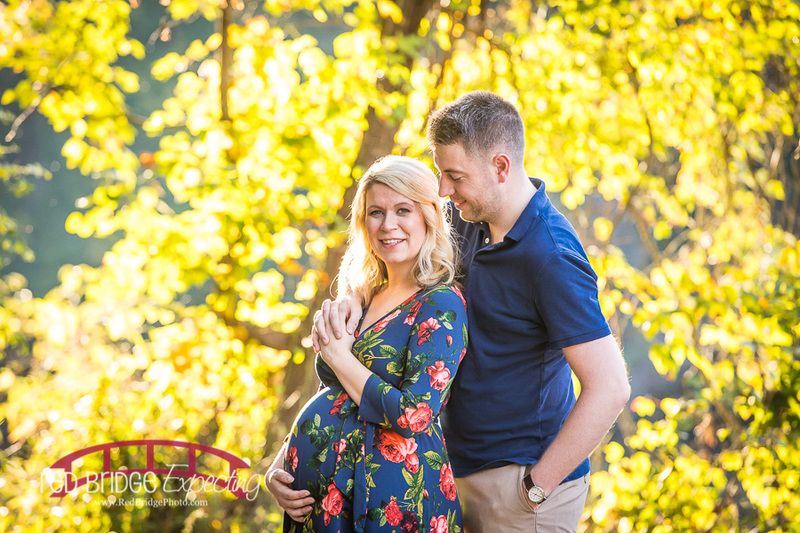 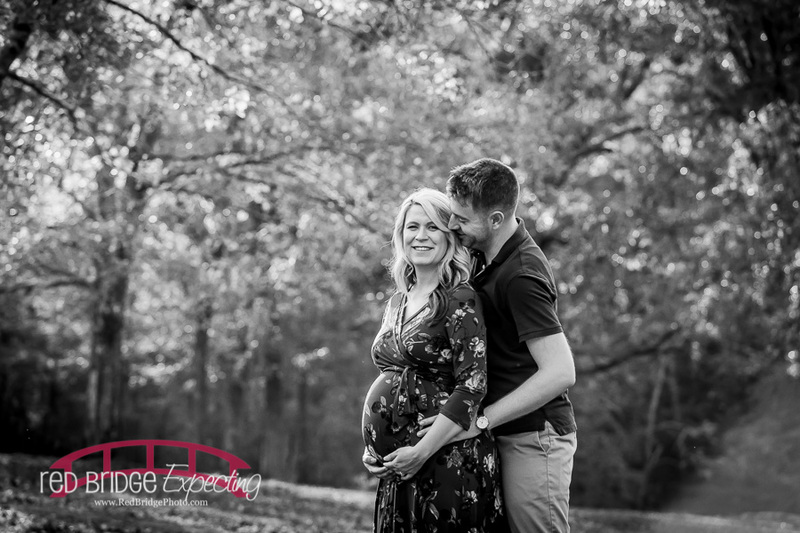 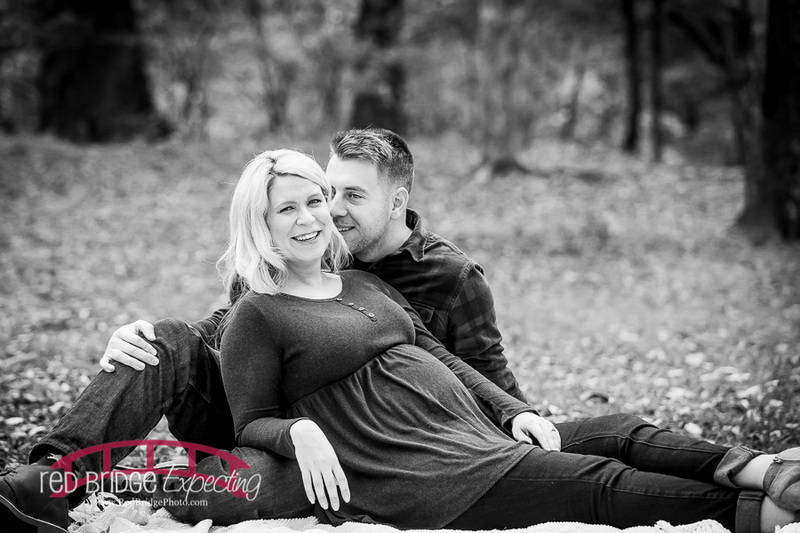 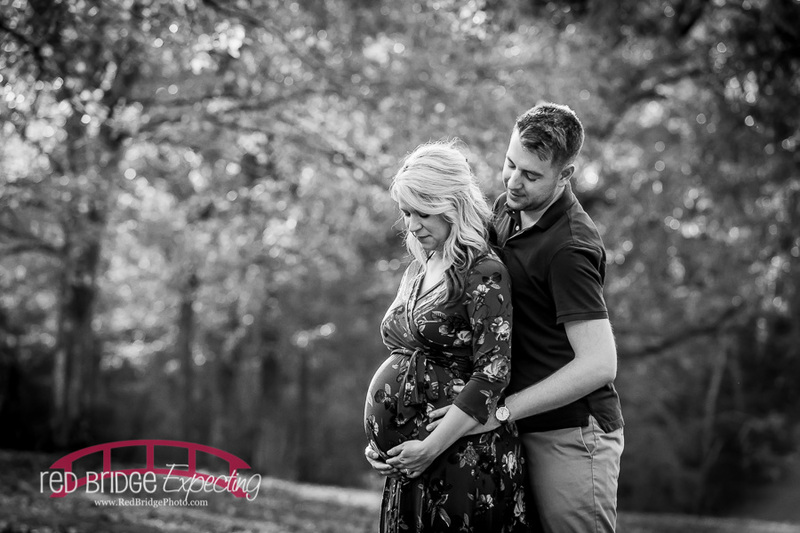 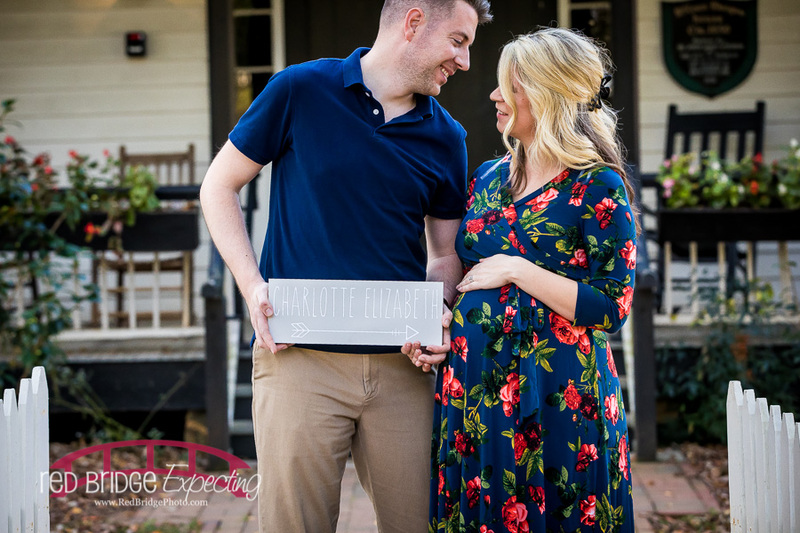 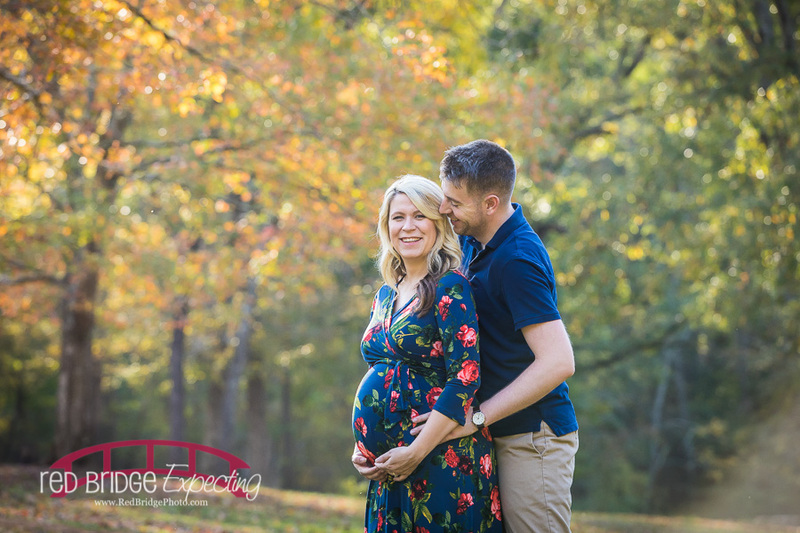 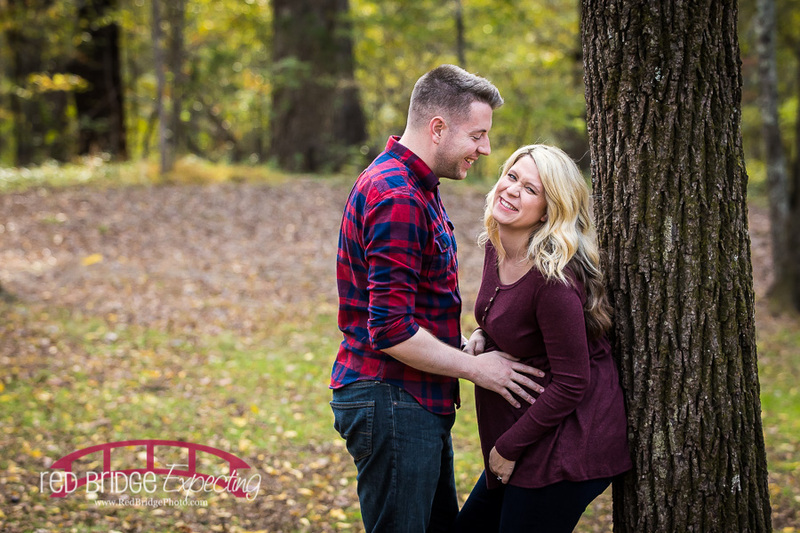 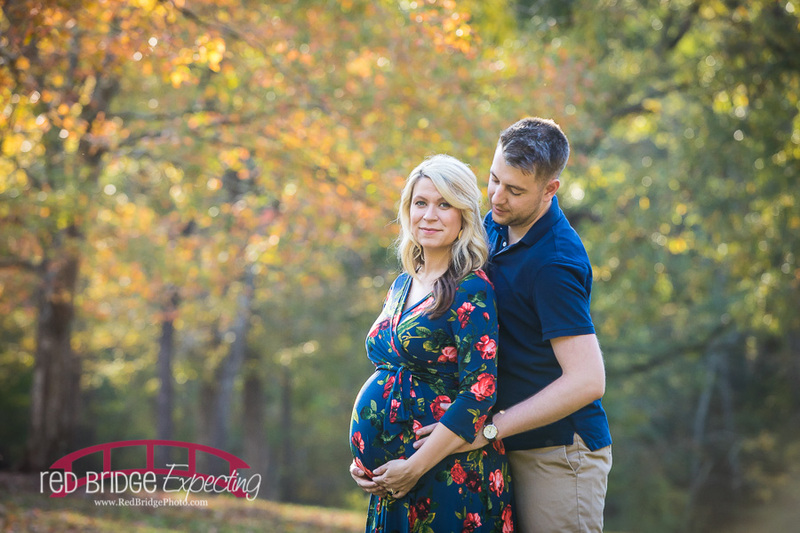 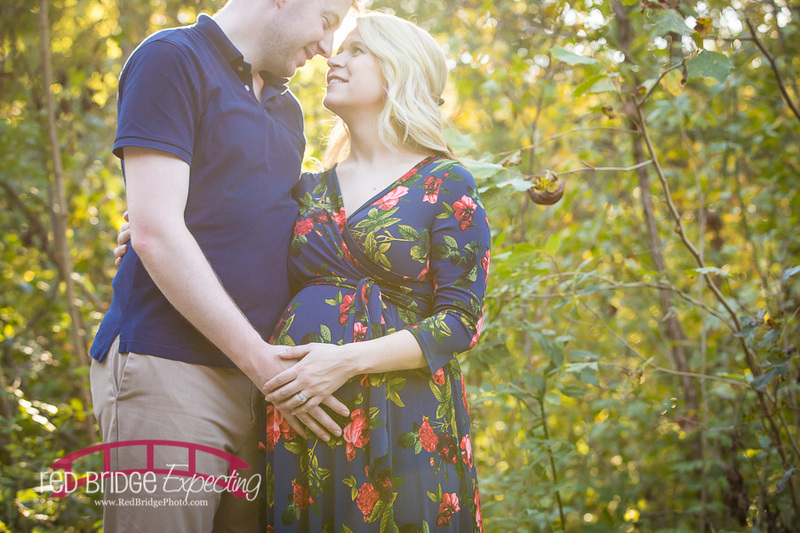 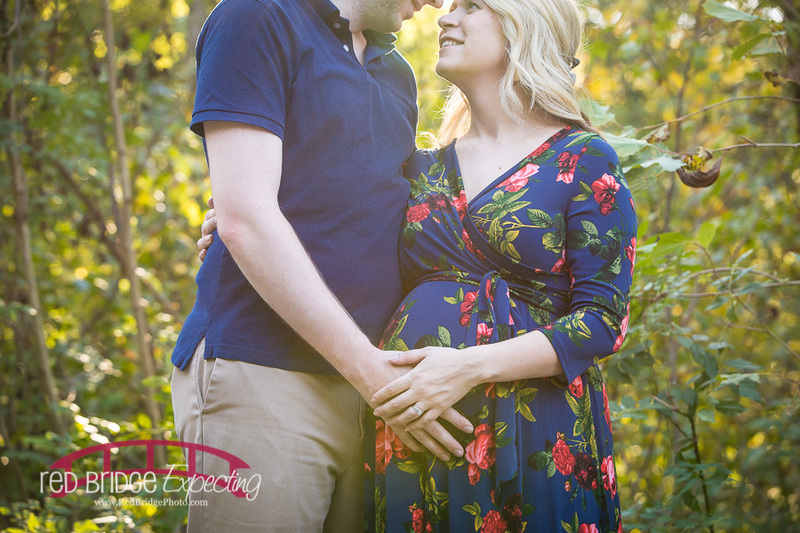 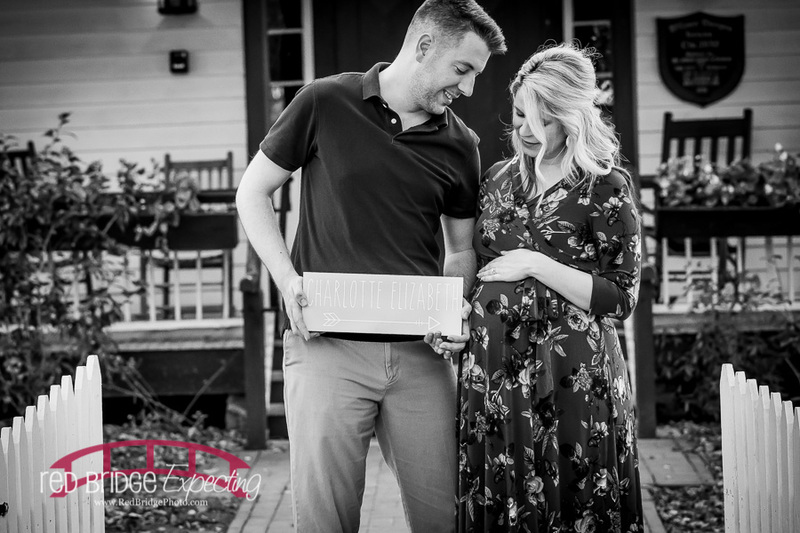 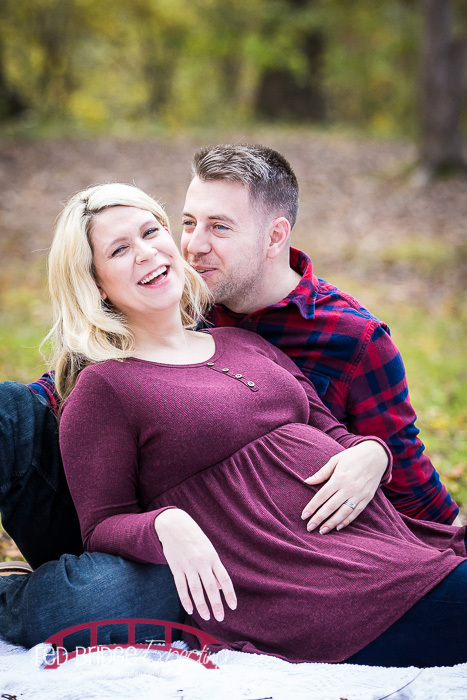 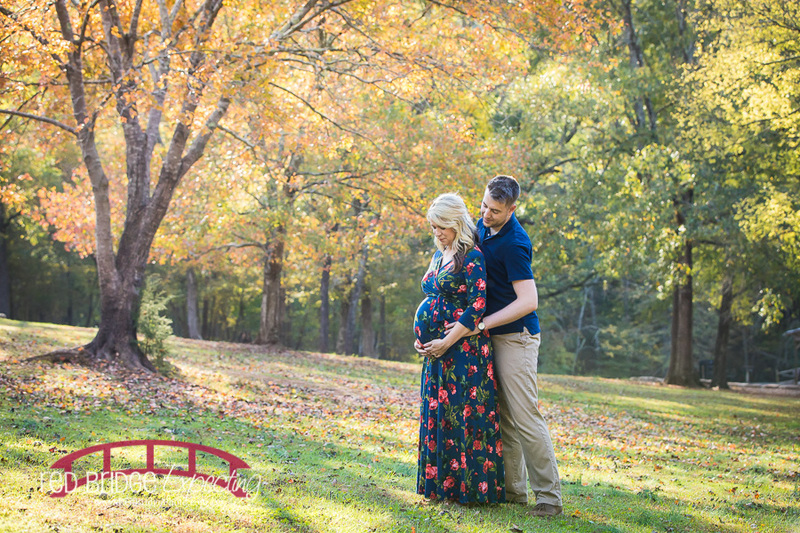 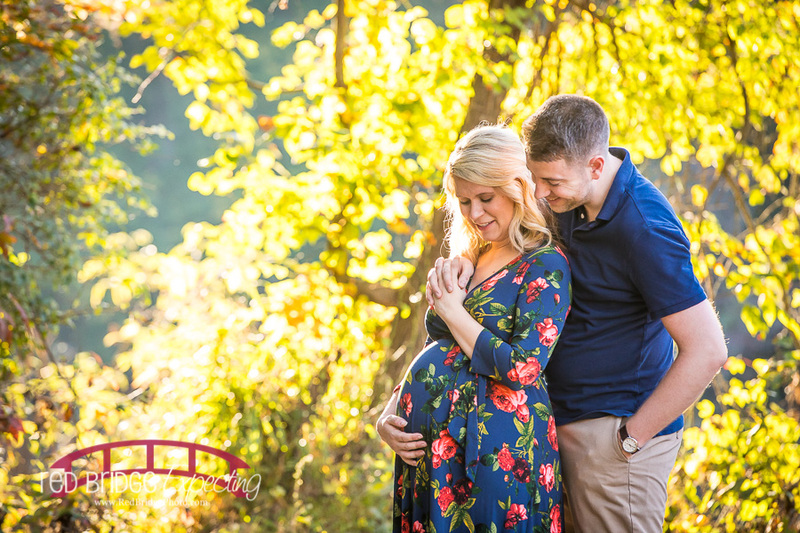 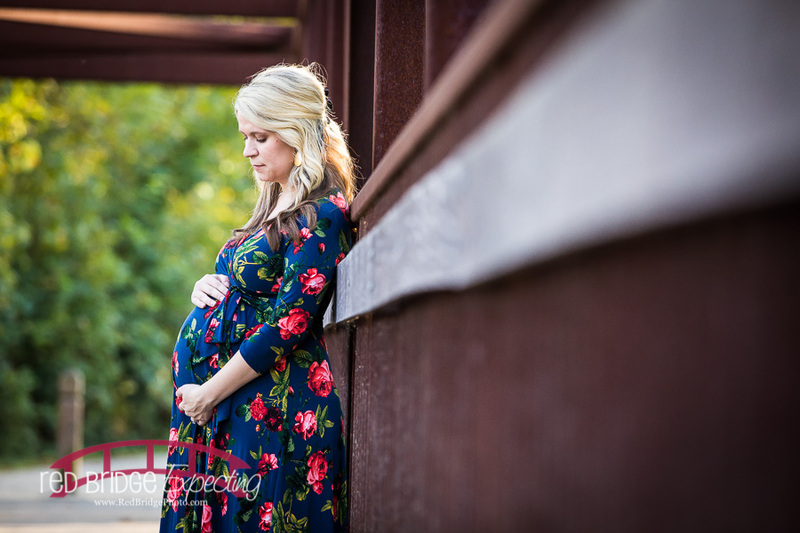 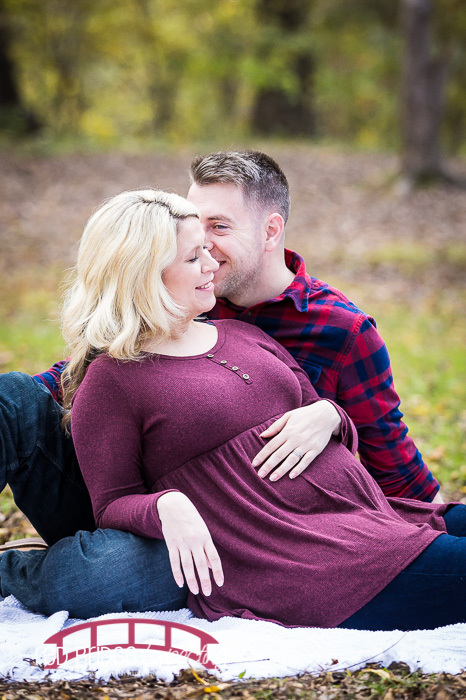 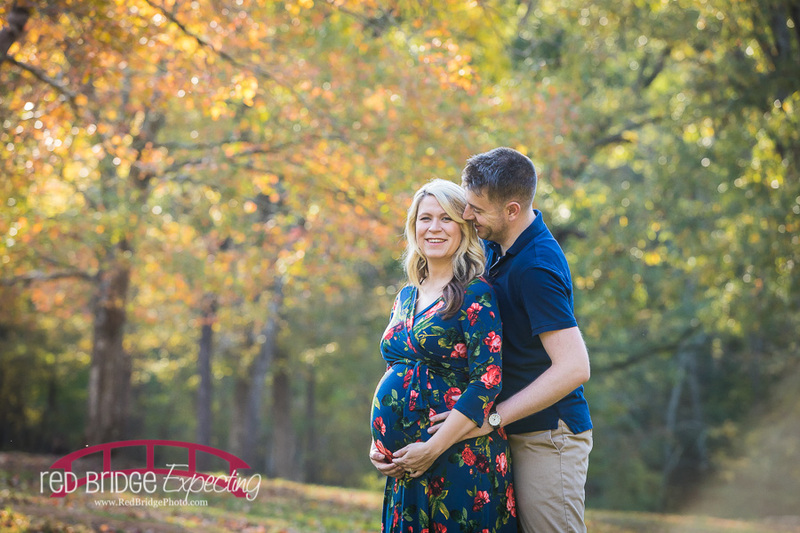 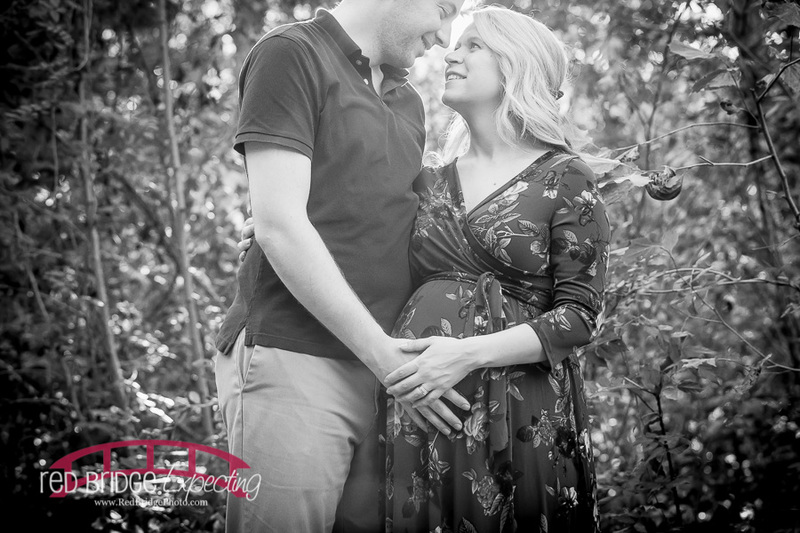 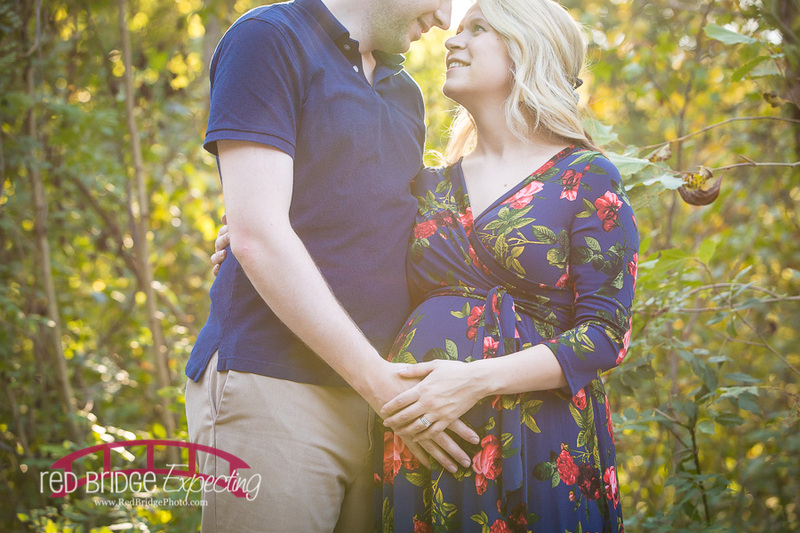 Y’all enjoy and be sure to watch for Charlotte’s newborn session to hit the blog soon!